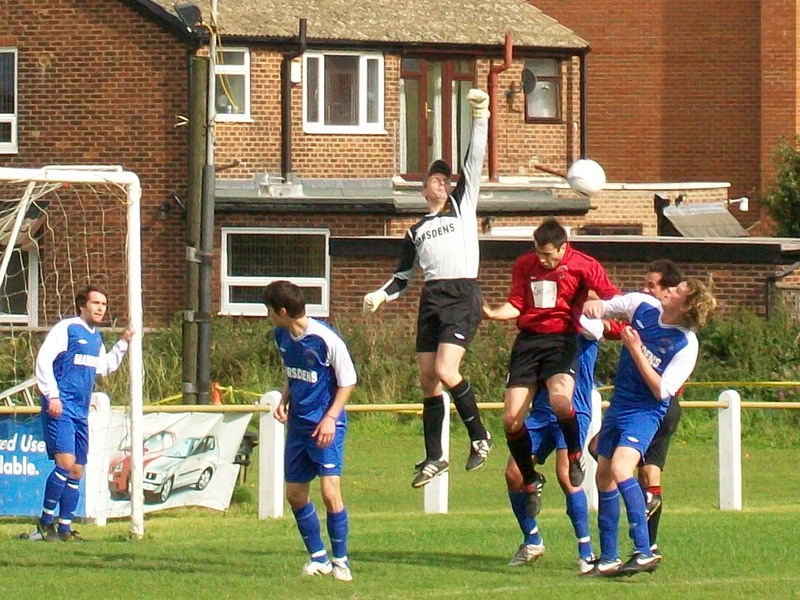 1 = Mark Temple in the air. 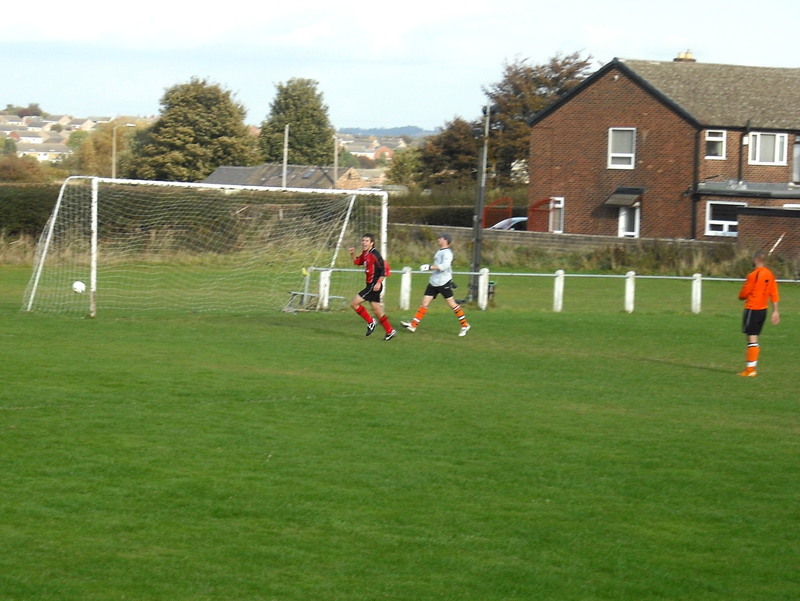 2 = Paul Smith gets the opening goal. 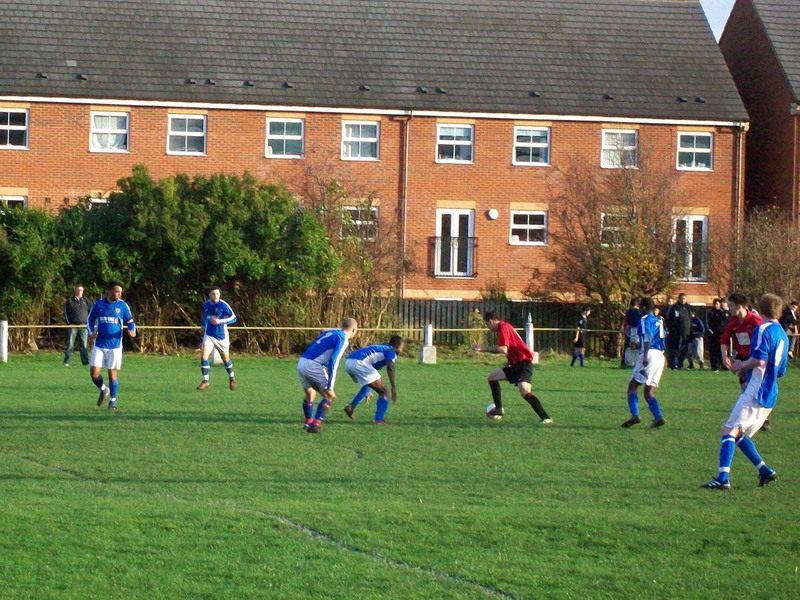 4 = The Hood defence line stands firm. 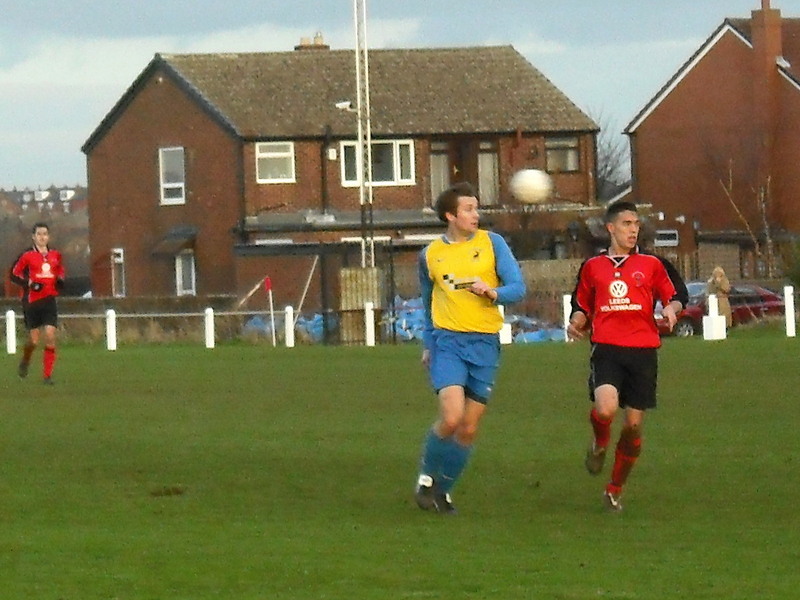 1 = Chris Boseley-Yemm on the ball. 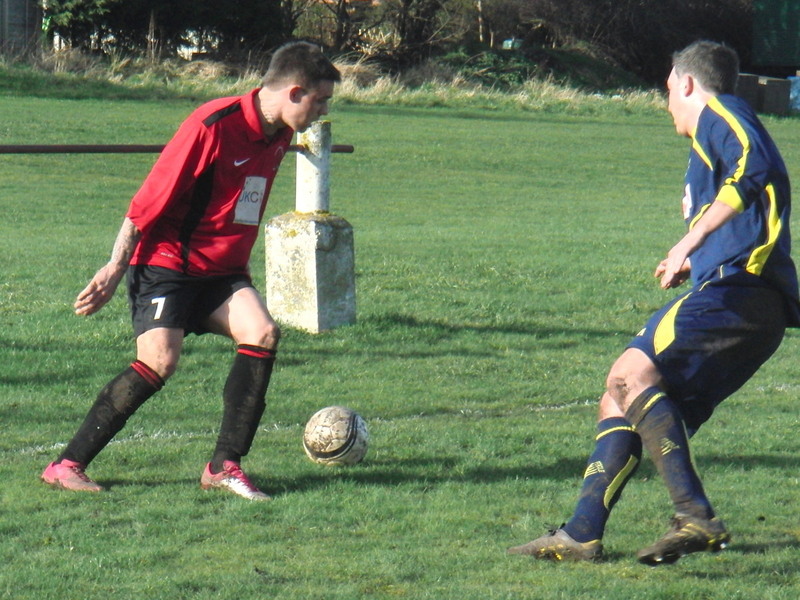 2 = Joe Childerton takes a shot. 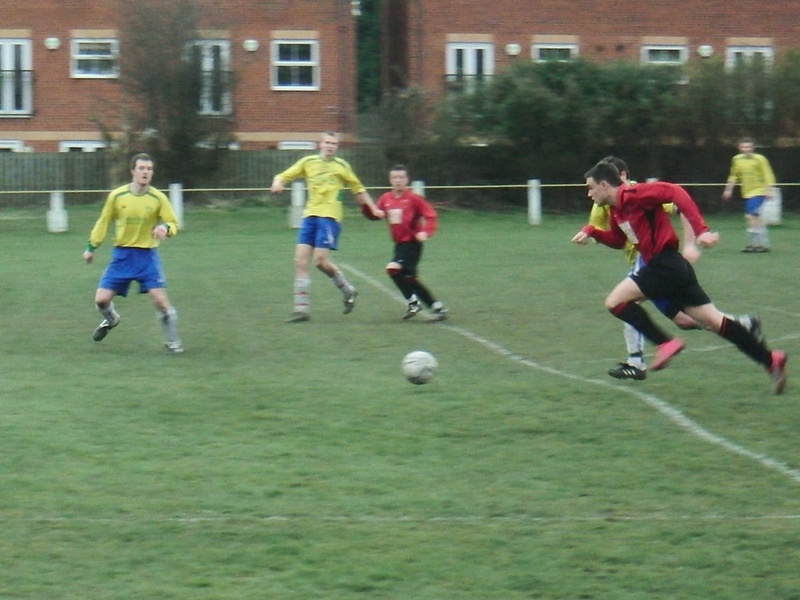 4 = Dave Havron pressing forward. 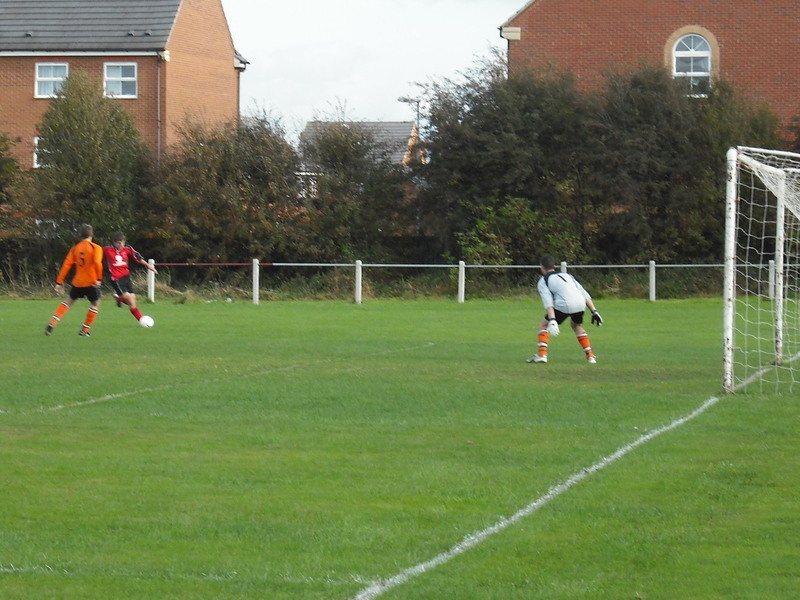 5 = A good save from the Beeston keeper. 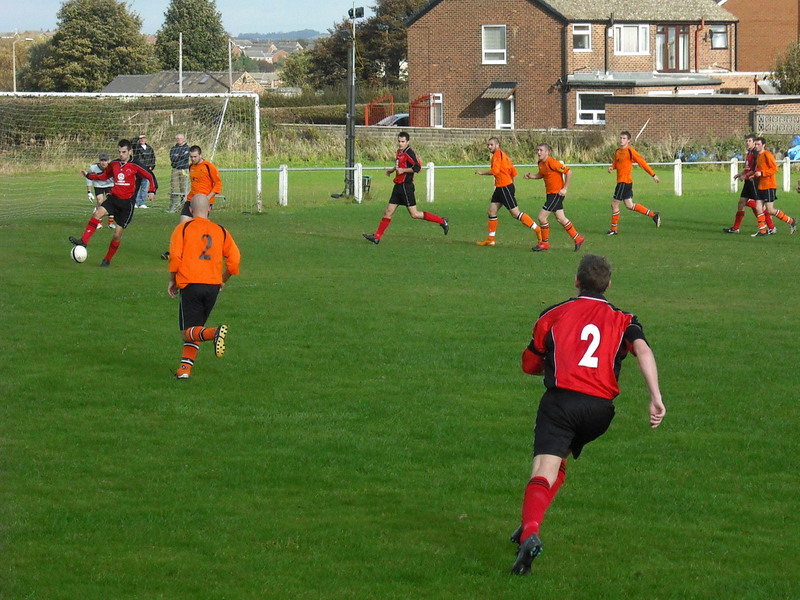 1 = Chris Lewis on the ball. 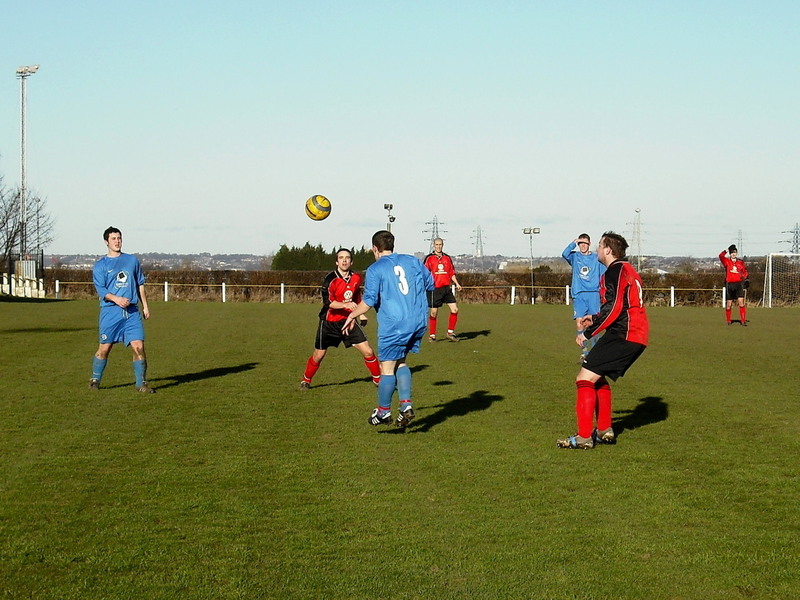 2 = Great ball control by Steve Williams. 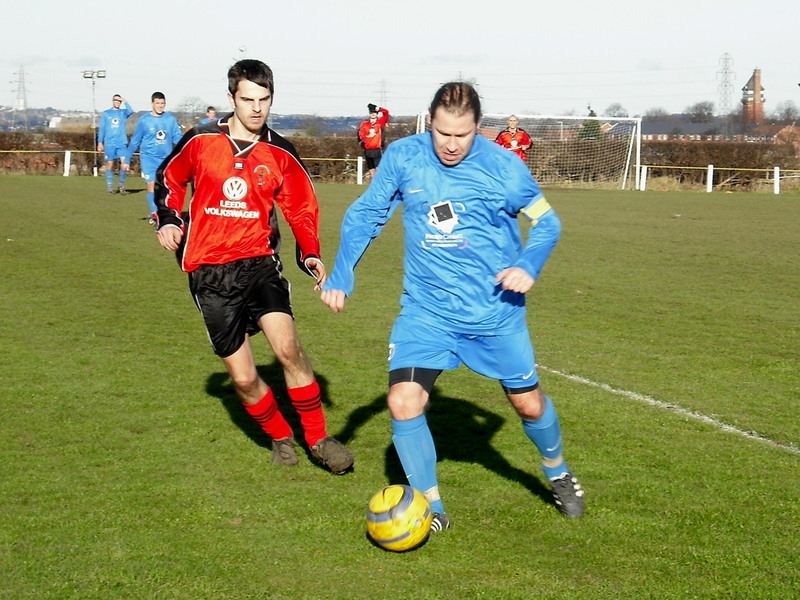 3 = Mark Temple and Gavin Crowther challenge together. 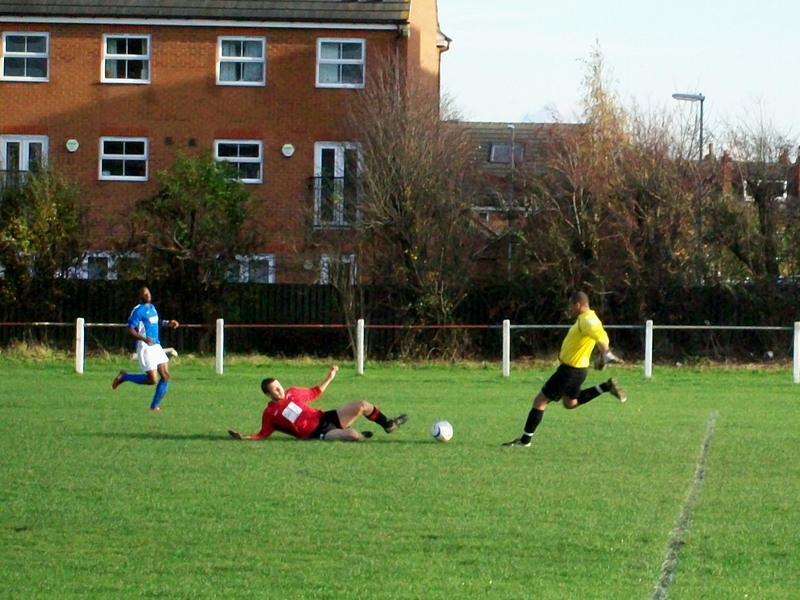 4 = Steve Williams out-pacing a defender. 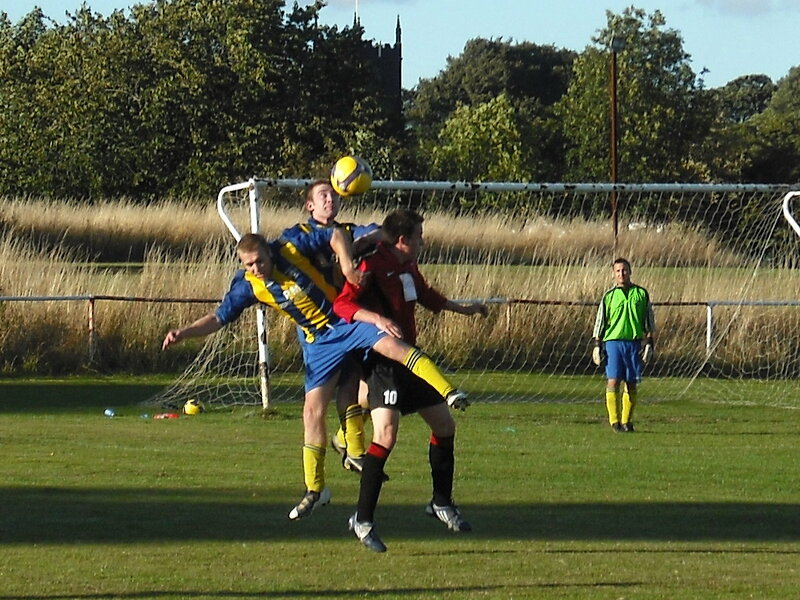 5 = Gavin Crowther tries to break through the Aberford defence. 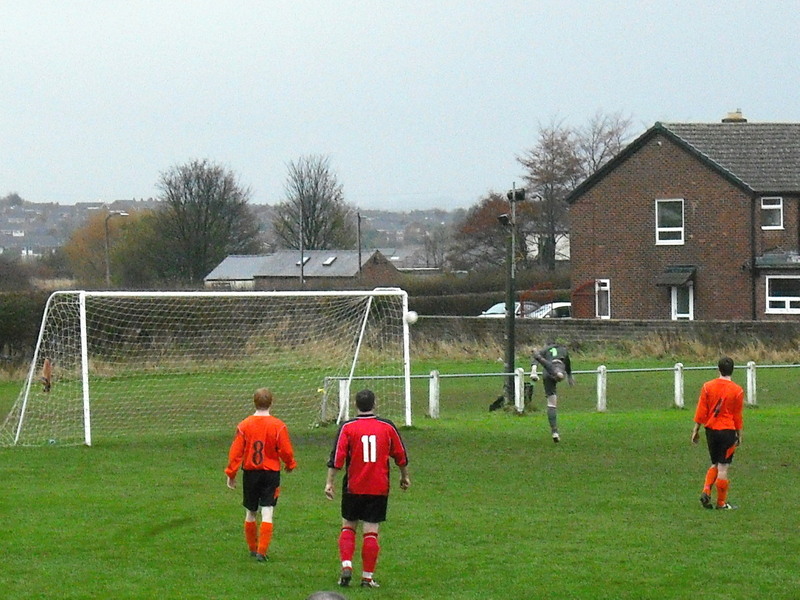 6 = Even keeper Chris Barrow joins in a late corner. 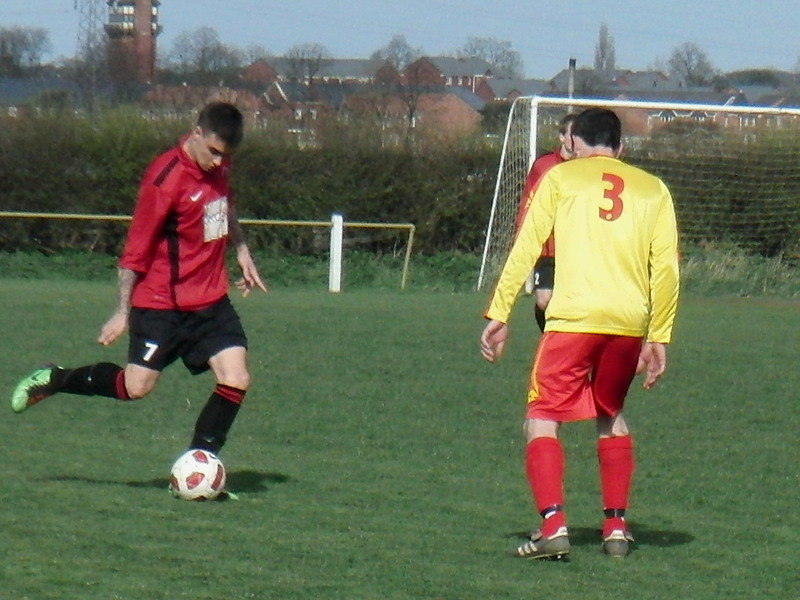 1 = Left Back Nick Humble pushing forward. 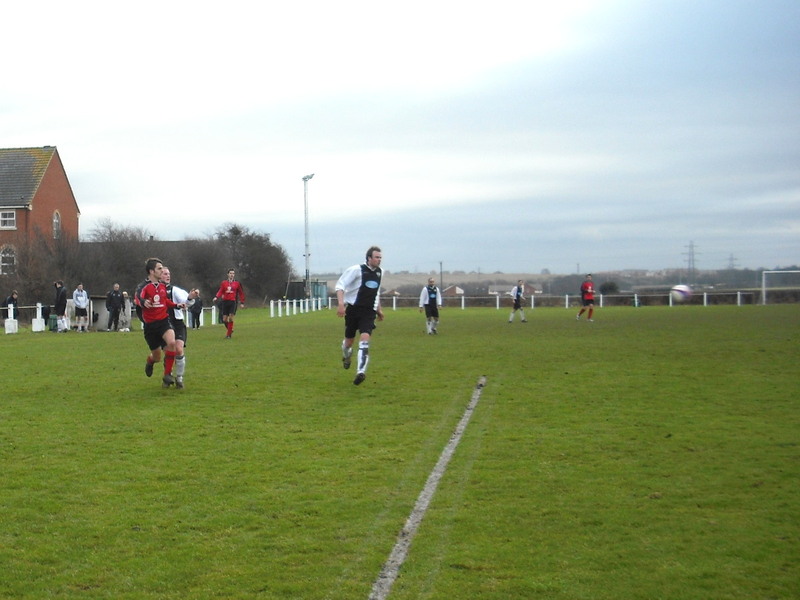 2 = Chris Lewis on the run watched by Steve Williams. 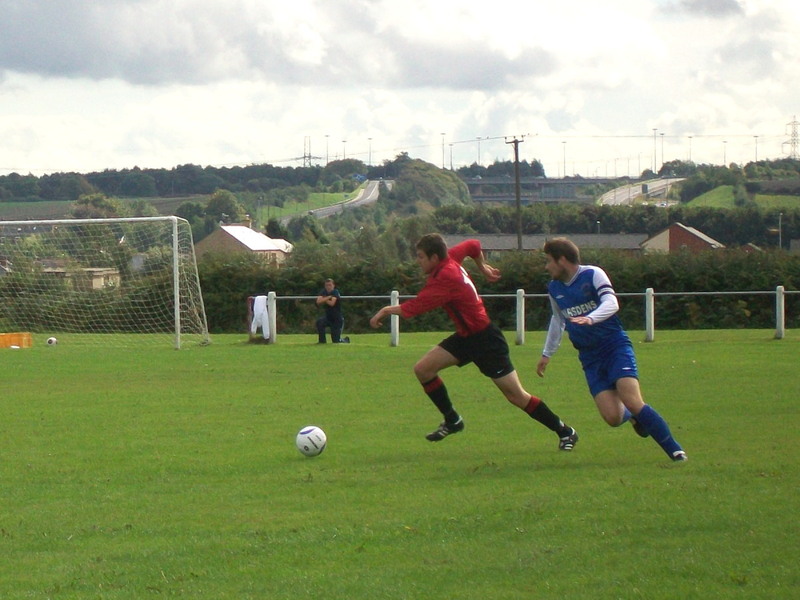 3 = Scott Murgatroyd takes on a Baildon defender. 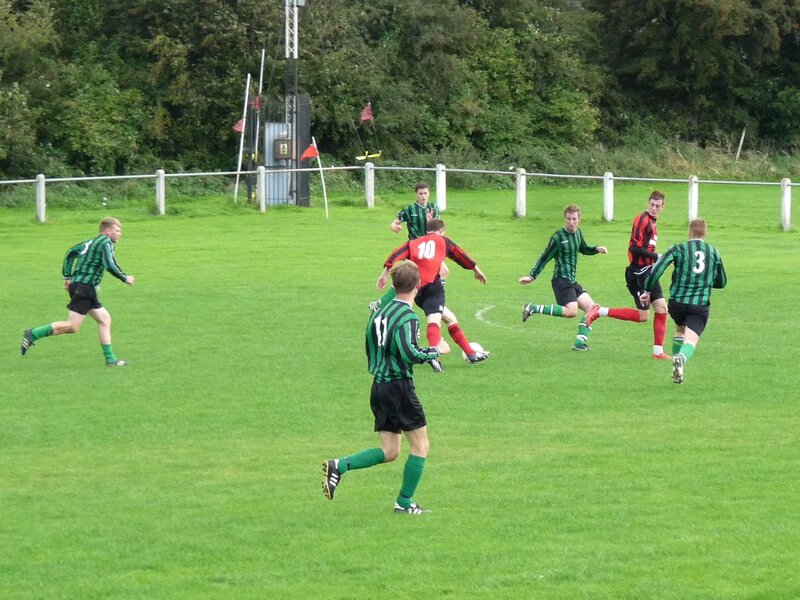 2 = An early shot from Steve Williams. 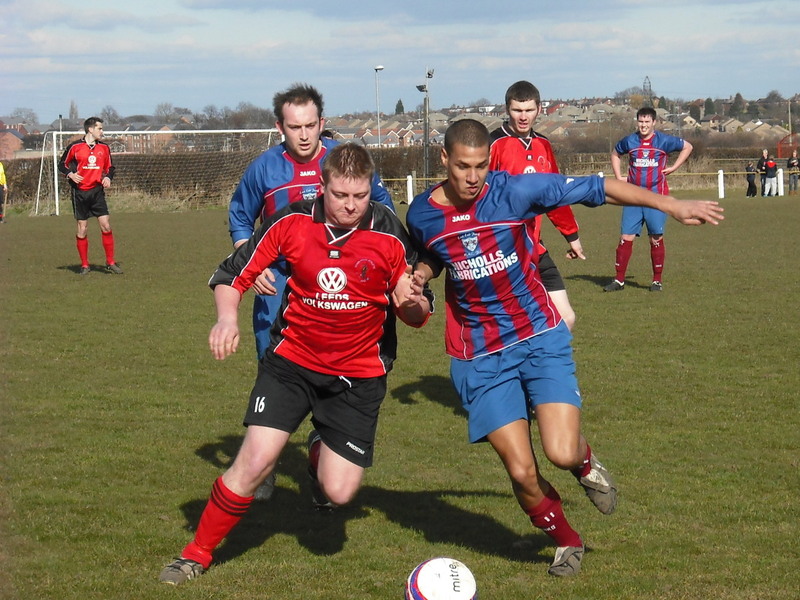 3 = Chris Lewis takes on a defender. 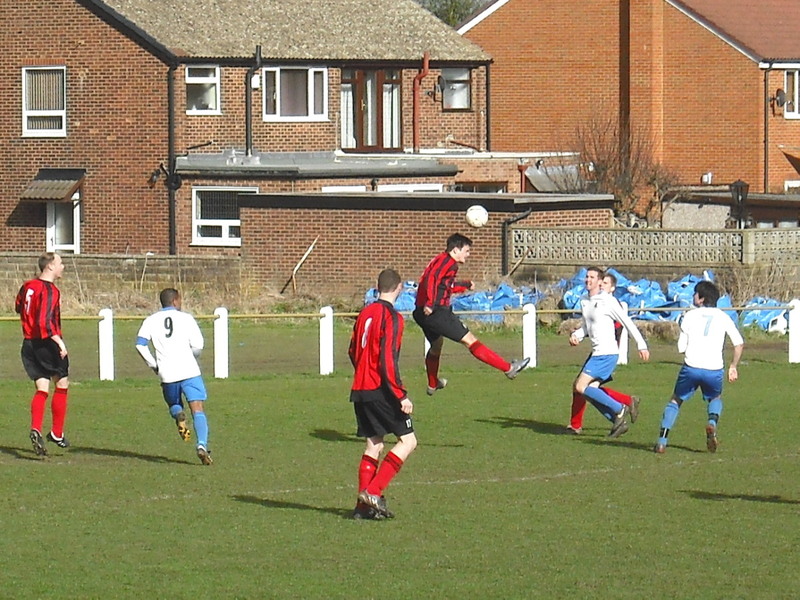 4 = Chris Brown heads it on. 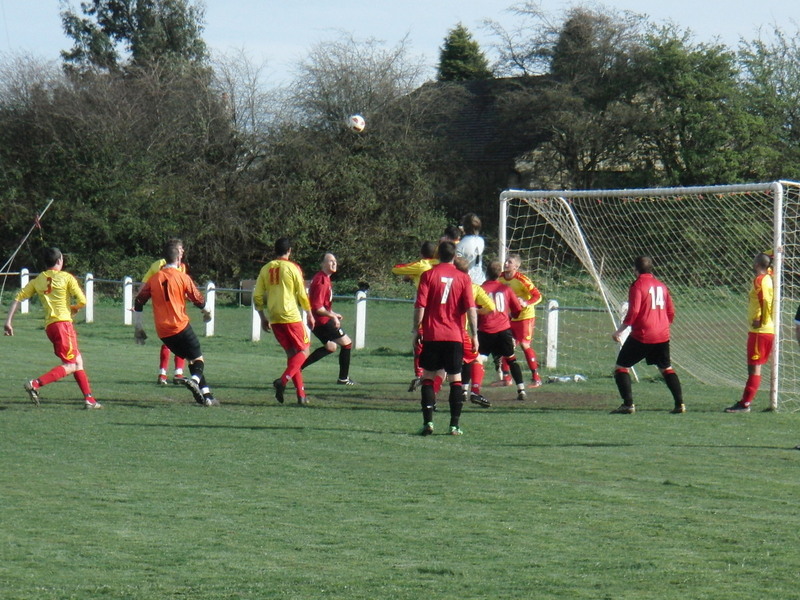 1 = Jordan Stafford takes a free kick. 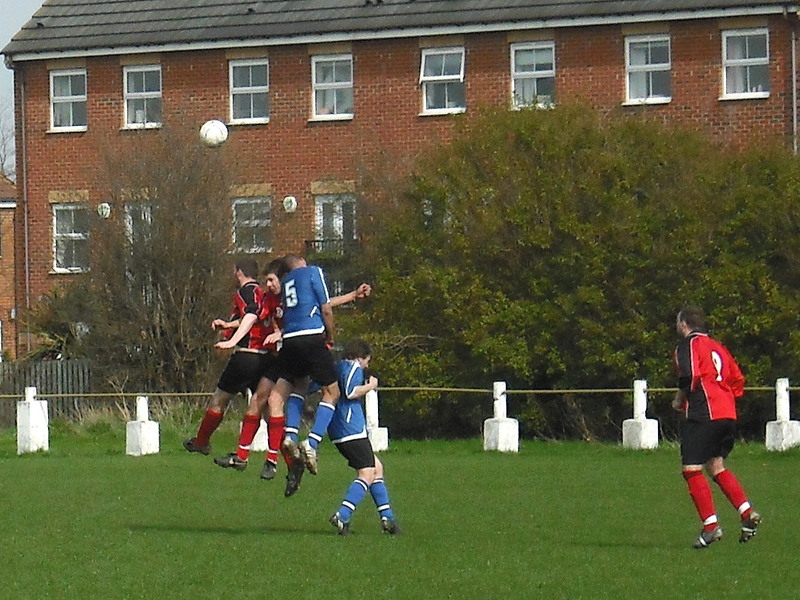 2 = A Mark Temple header. 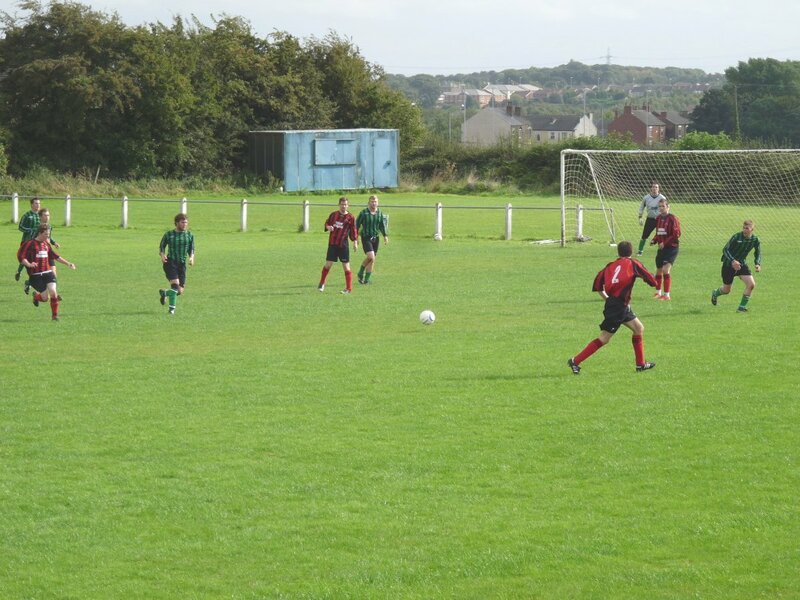 3 = The captain is watched by the ref. 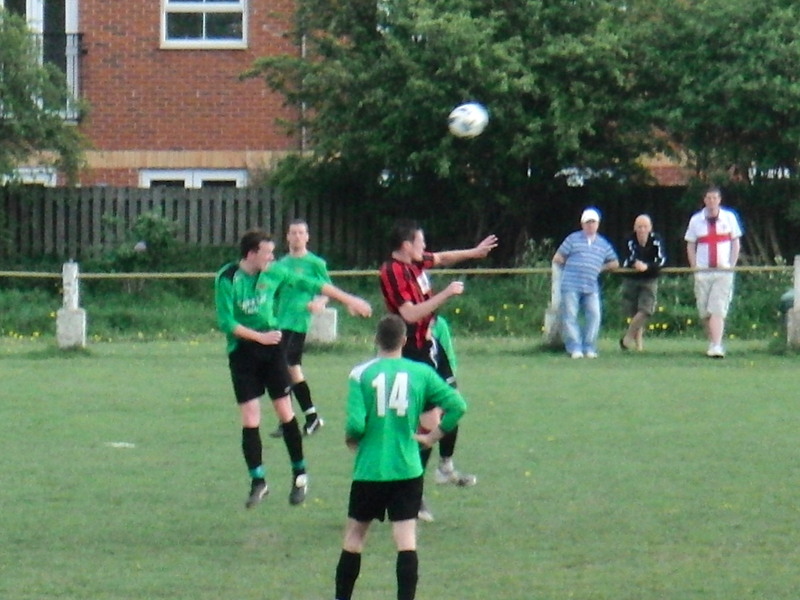 4 = And another Mark Temple header. 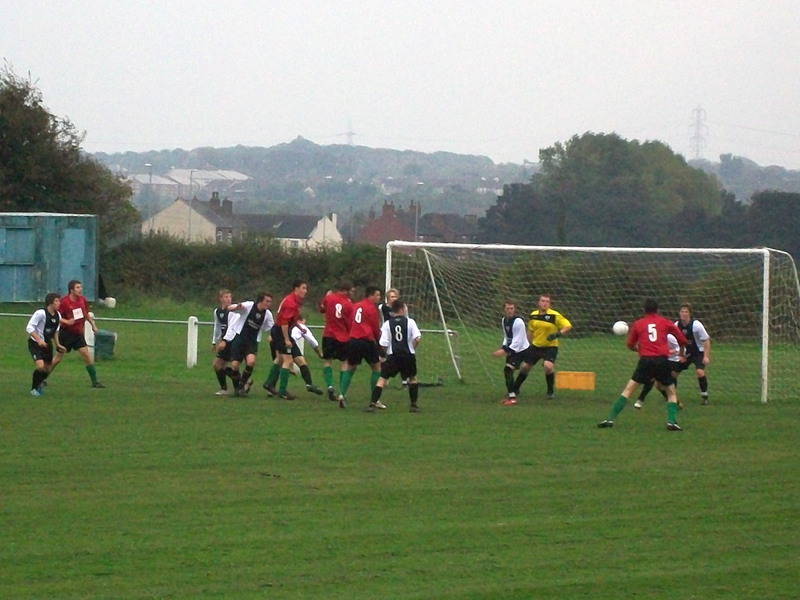 5 = Chris Barrow makes the catch. 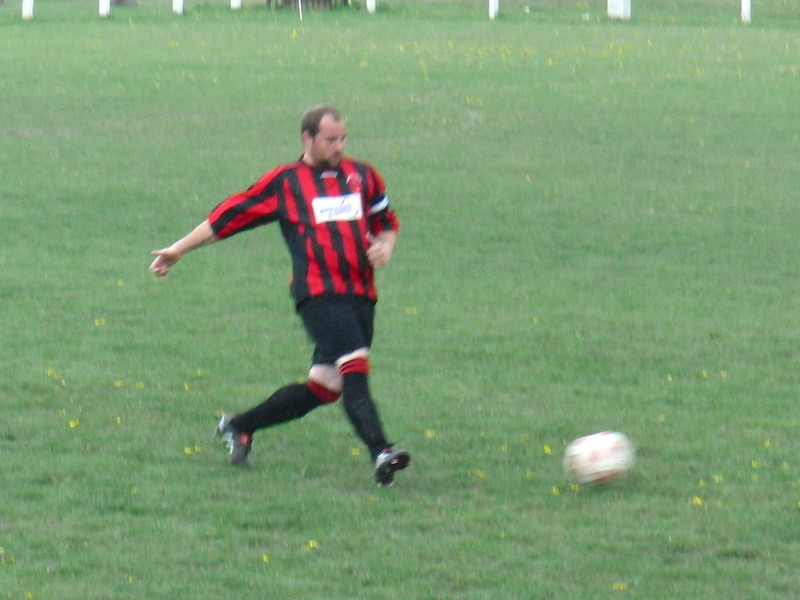 6 = Steve Williams has a shot. 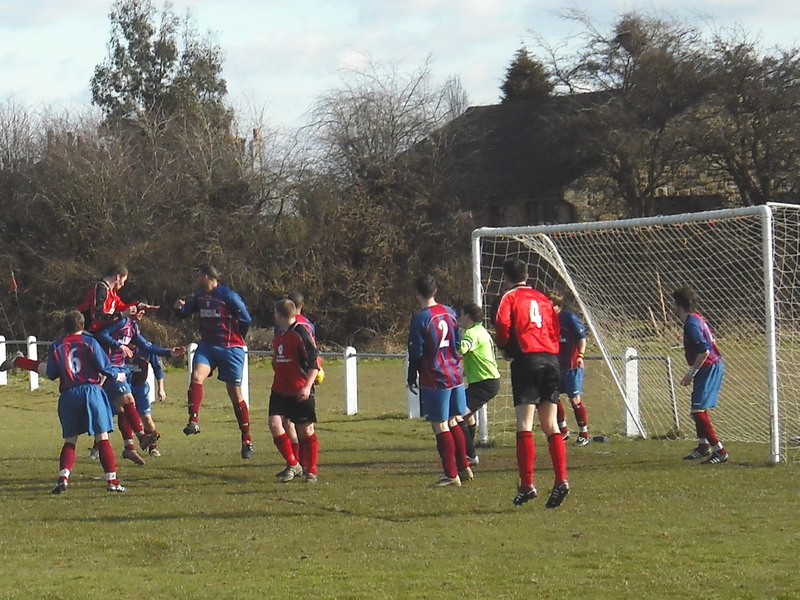 1 = 5 Hood players waiting as the free kick comes in. 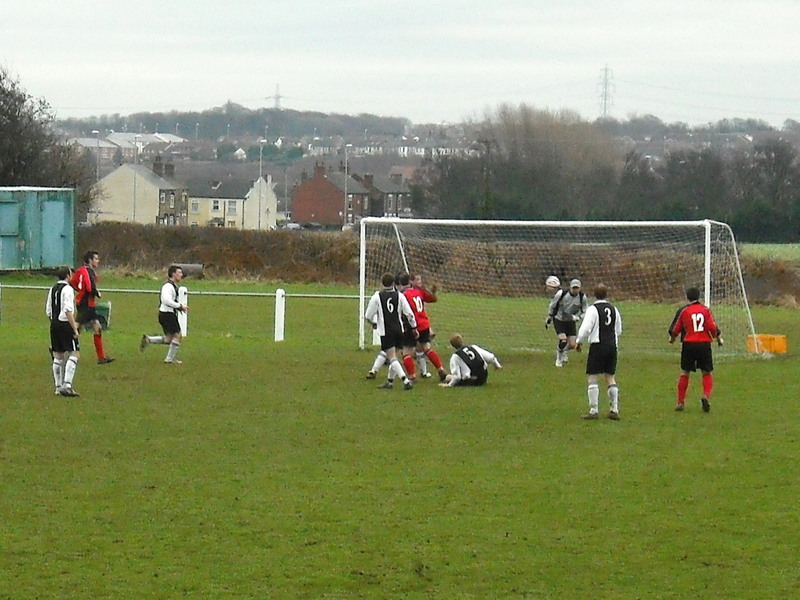 2 = Keeper Chris Barrow in action. 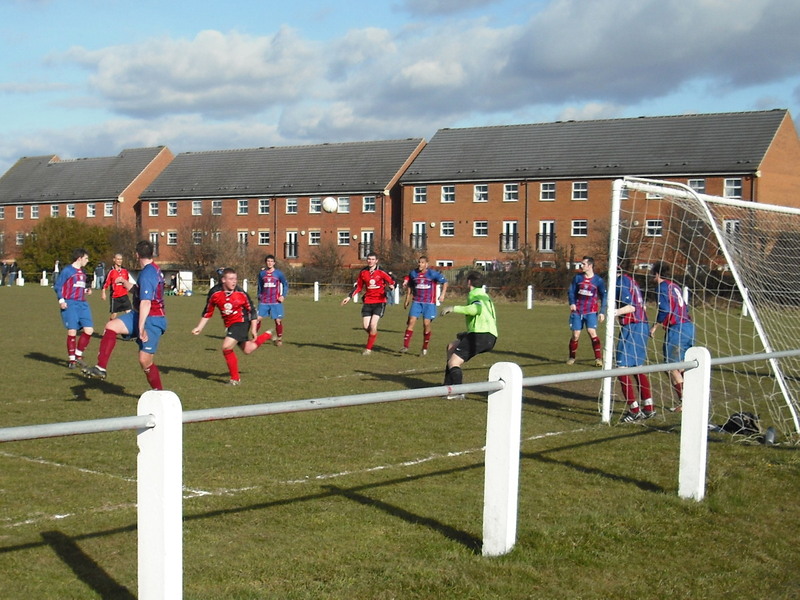 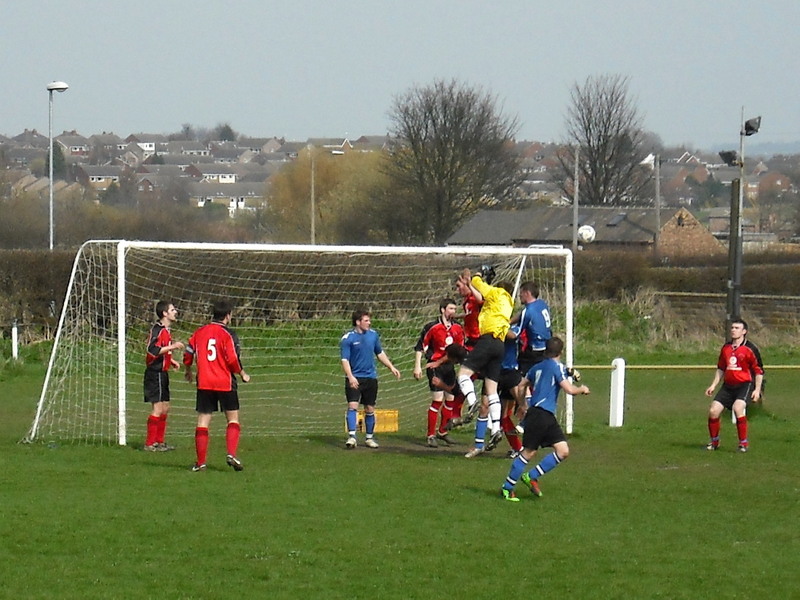 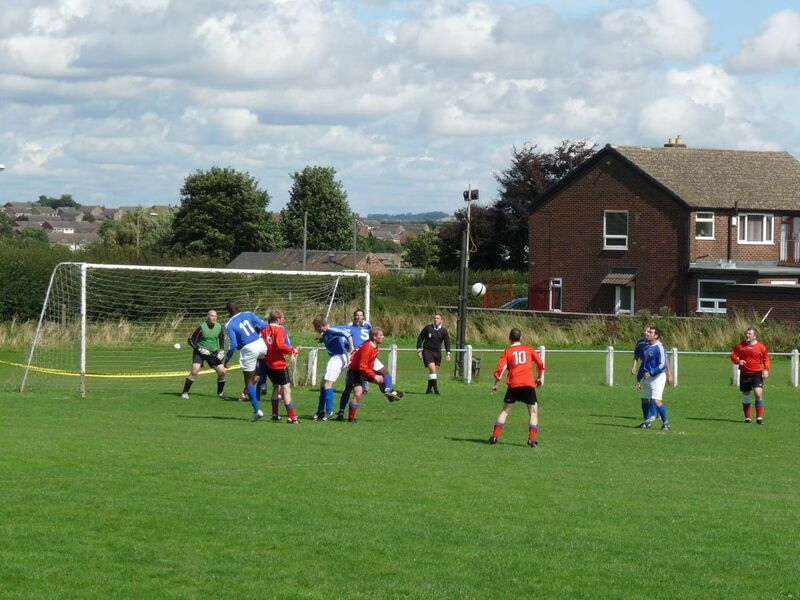 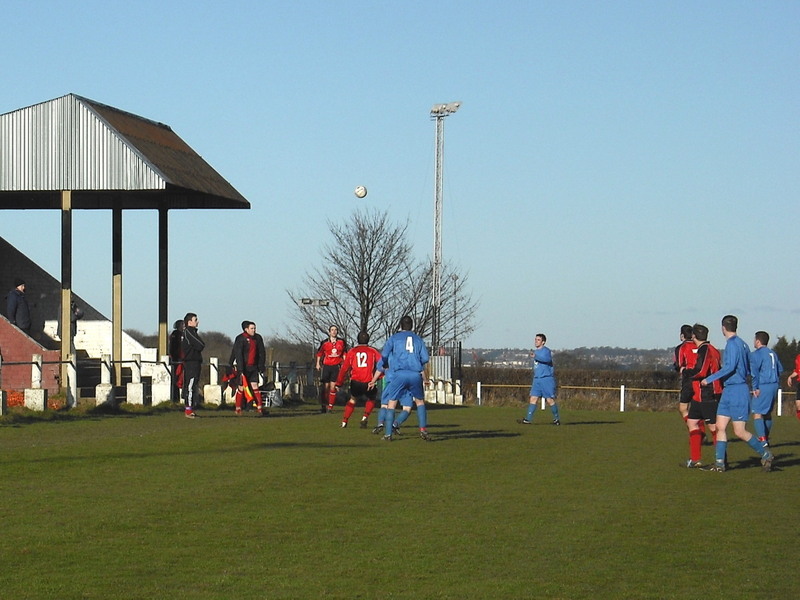 3 = Ossett defend another corner. 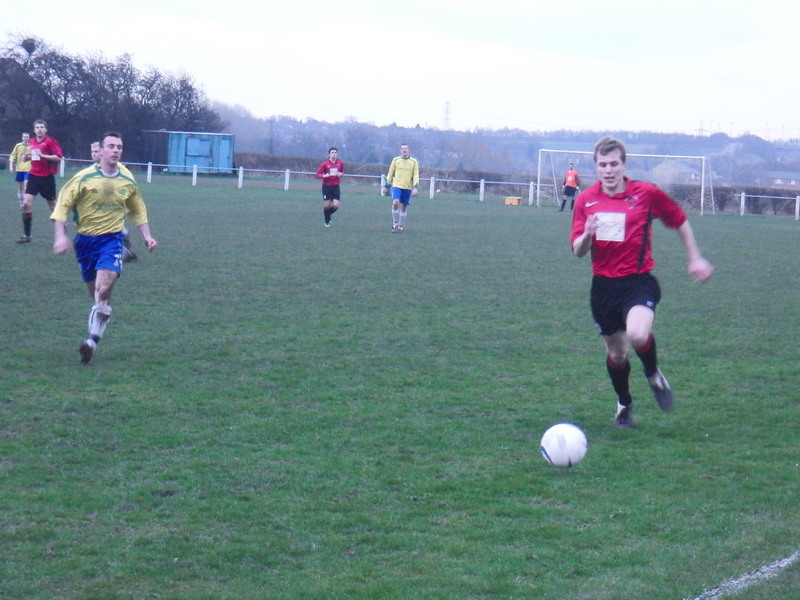 1 = Mark Temple (no 8) and Kris Robertshaw combining in midfield. 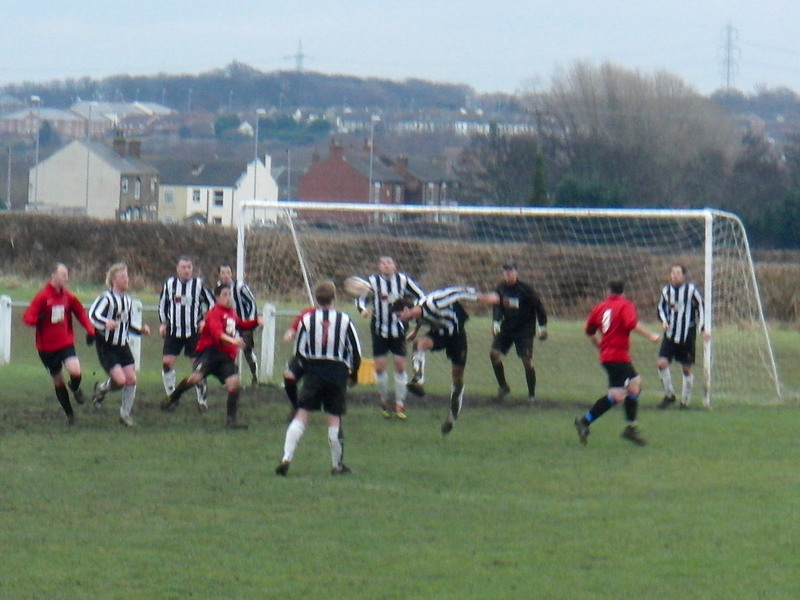 2 = Mark Temple heads wide. 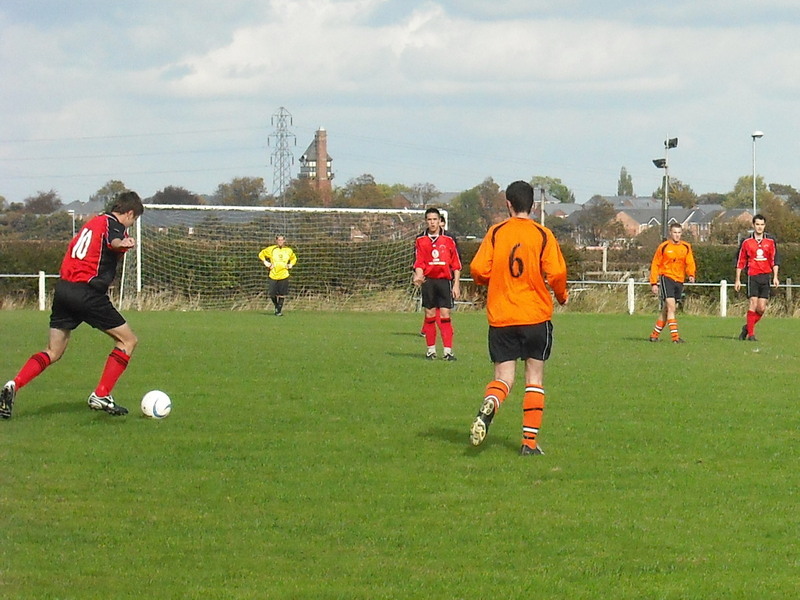 3 = Paul Smith about to shoot. 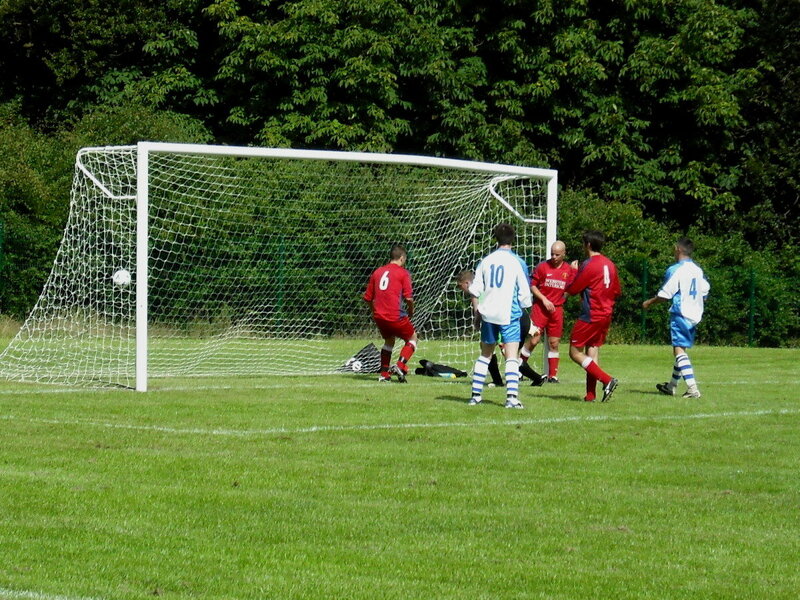 1 = Their keeper gets there first. 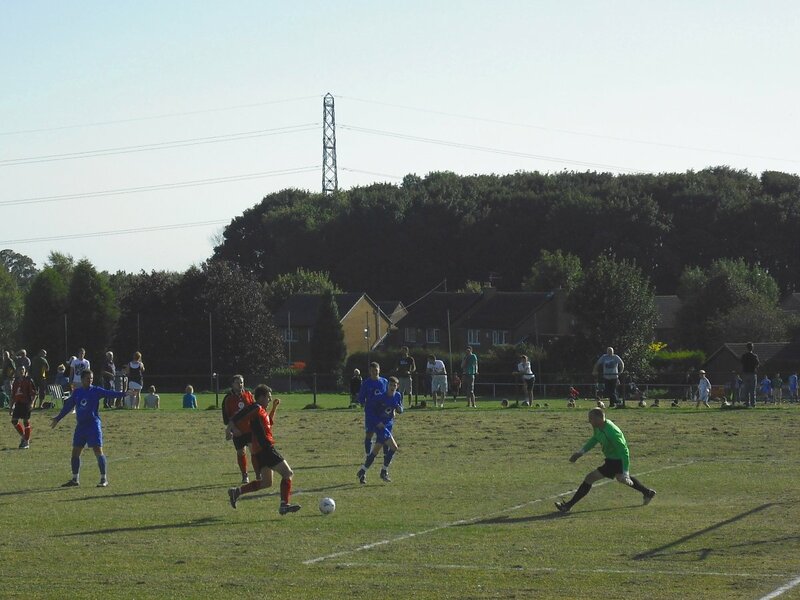 2 = Hood press for an equalizer. 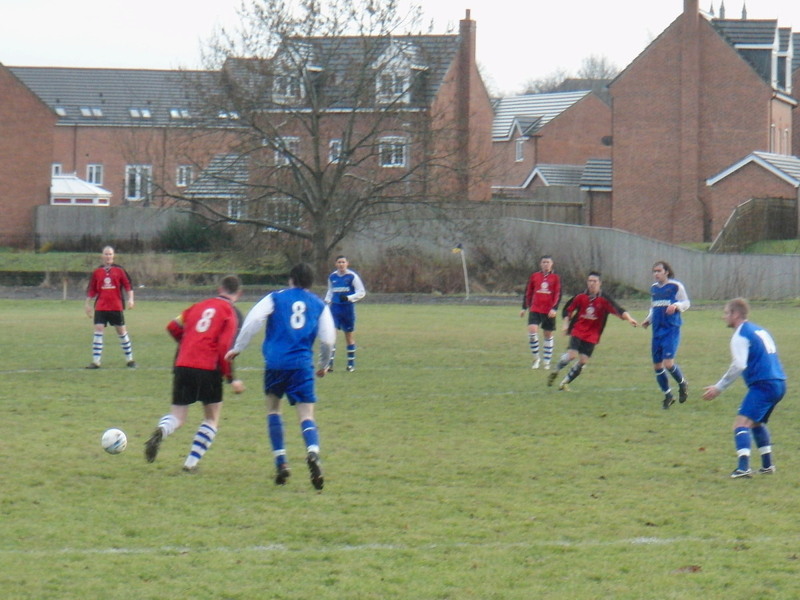 3 = Chris Lewis in a maze of defenders. 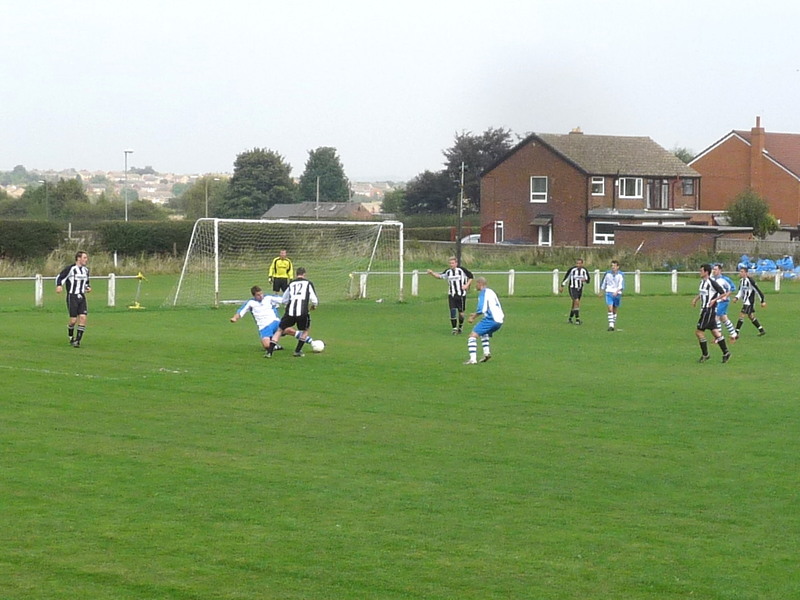 4 = James Finlayson curles a free kick. 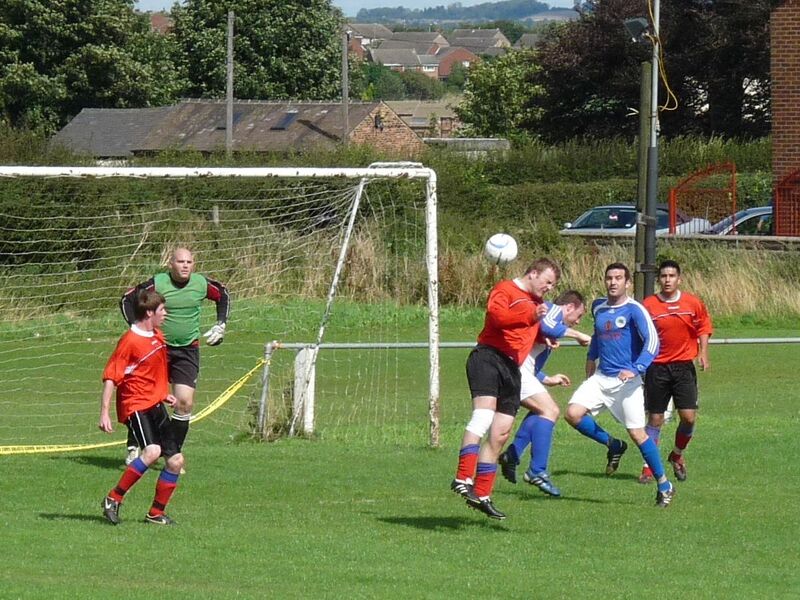 2 = James Finlayson tries his luck. 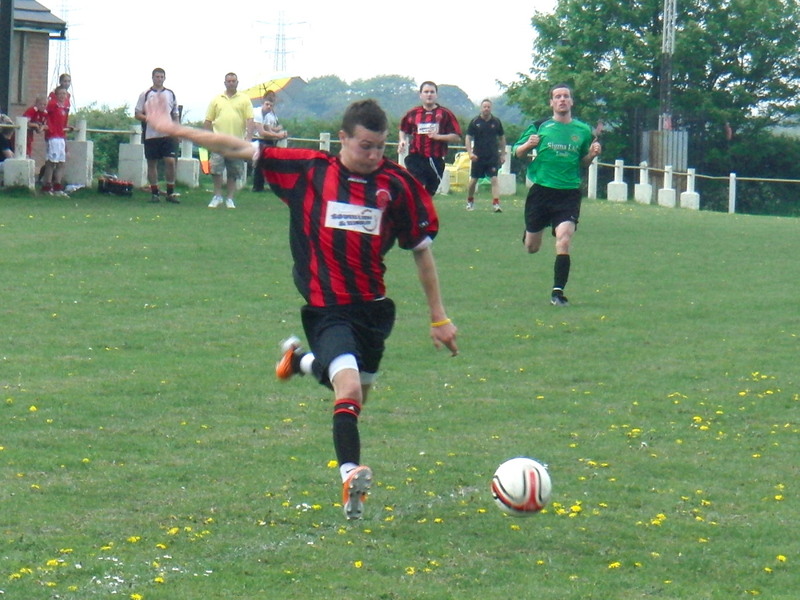 3 - Jordan Stafford on the ball. 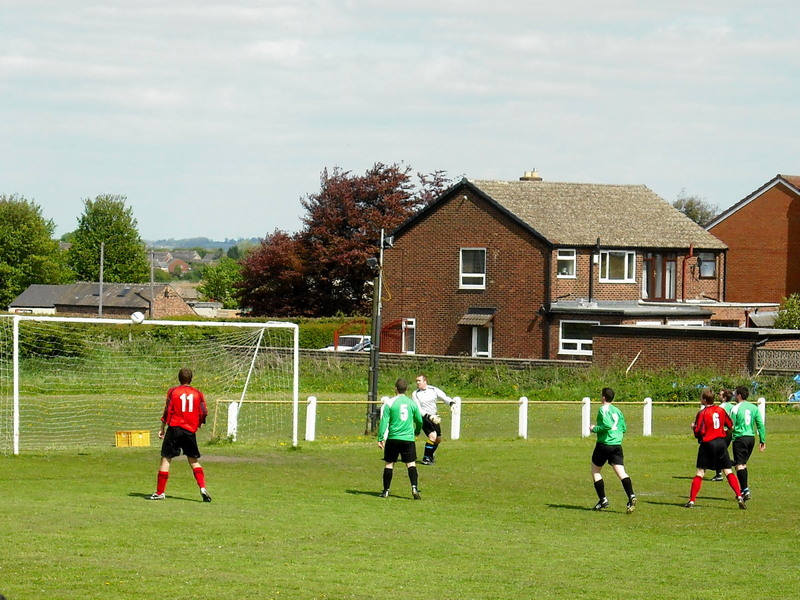 4 = Hood pressing for the equalizer. 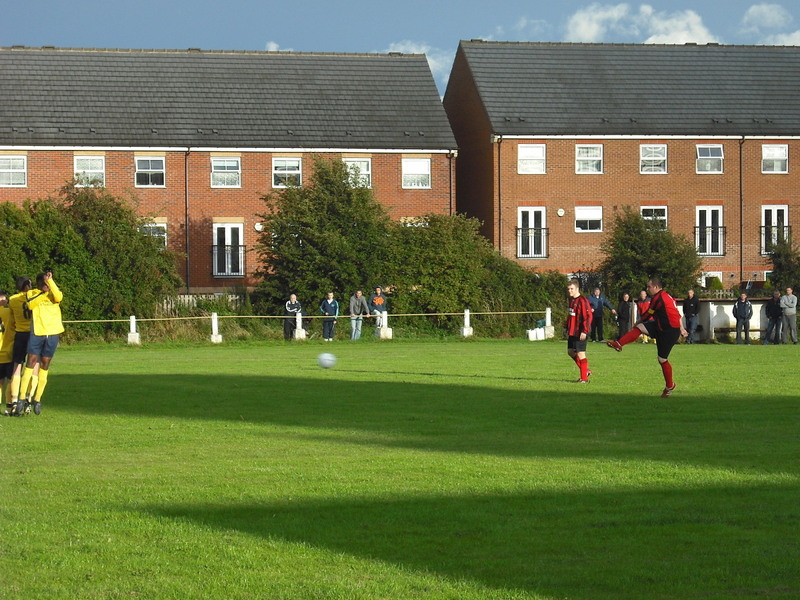 1 = Early Hood pressure. 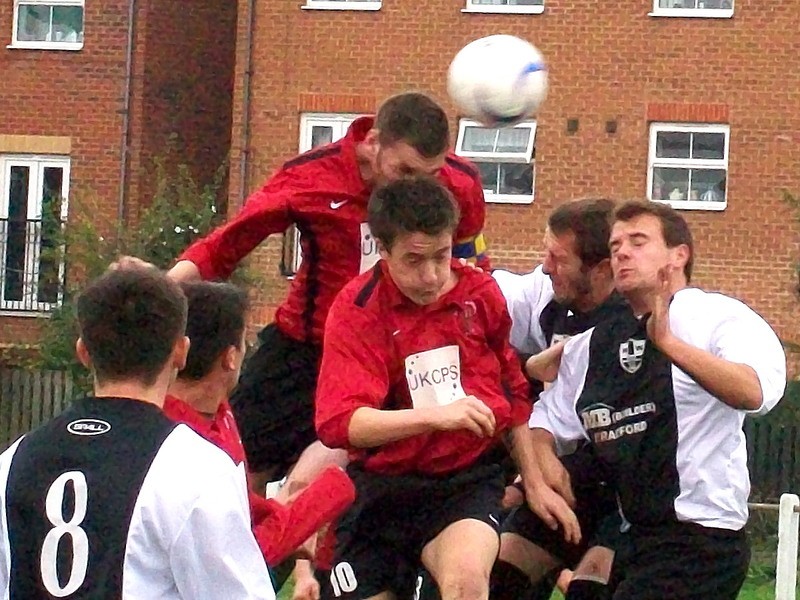 2 = Mark Temple and Tom Carter in the same challenge. 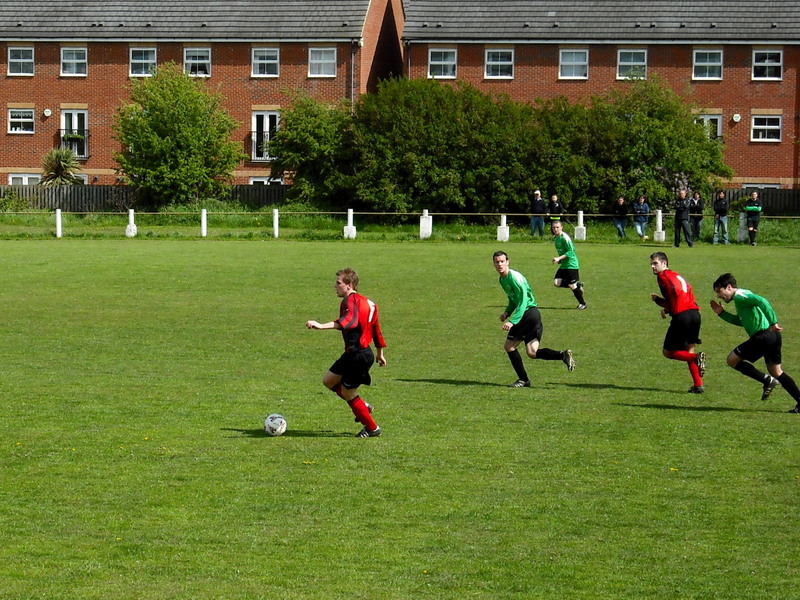 3 = Jordan Stafford with a cross. 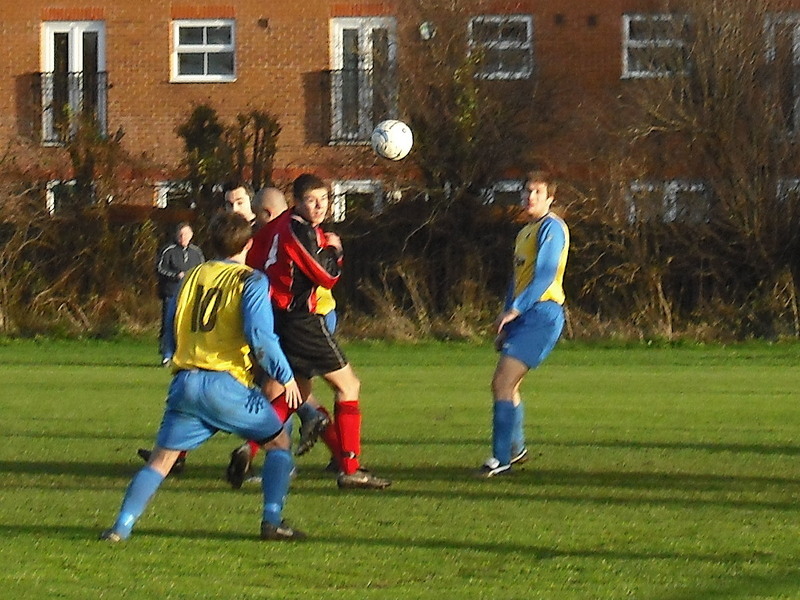 4 = Tom Carter goes close watched by Gavin Crowther. 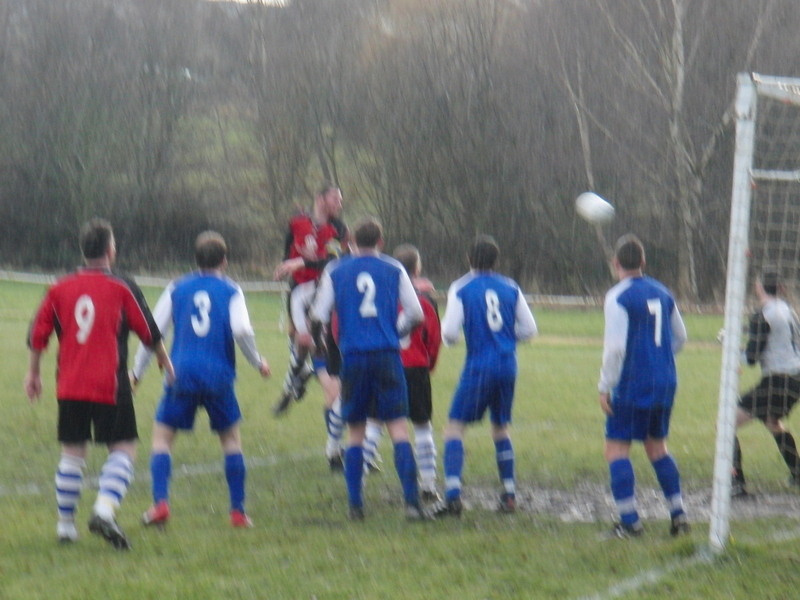 5 = Scott Murgatroyd tries his luck. 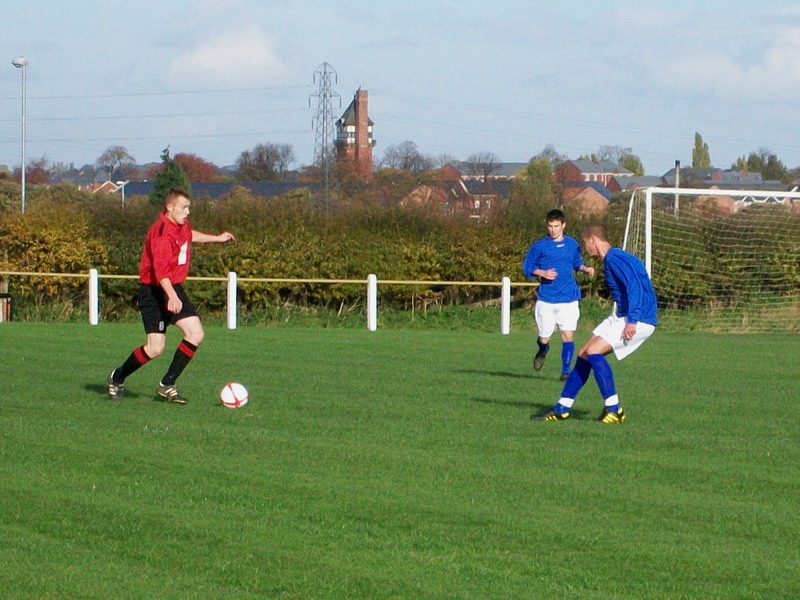 1 = Scott Murgatroyd on the ball. 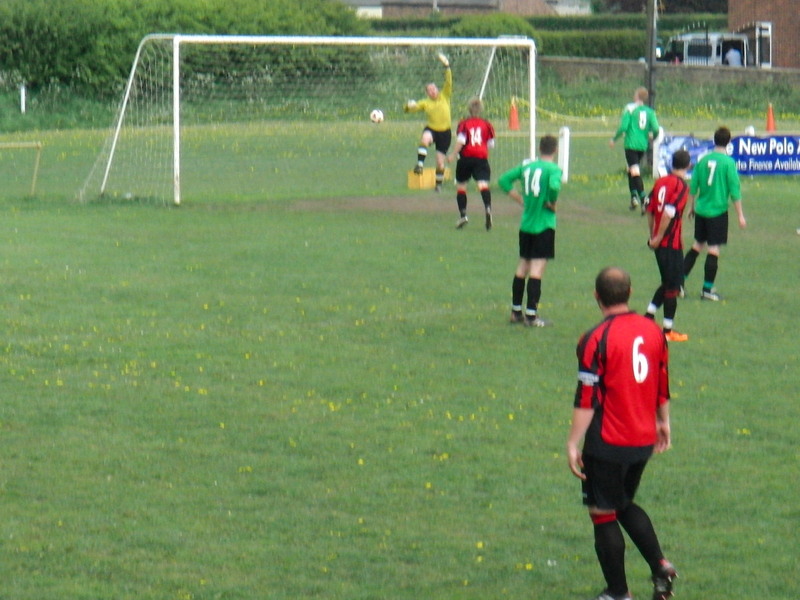 2 = Denied by the keeper's punch. 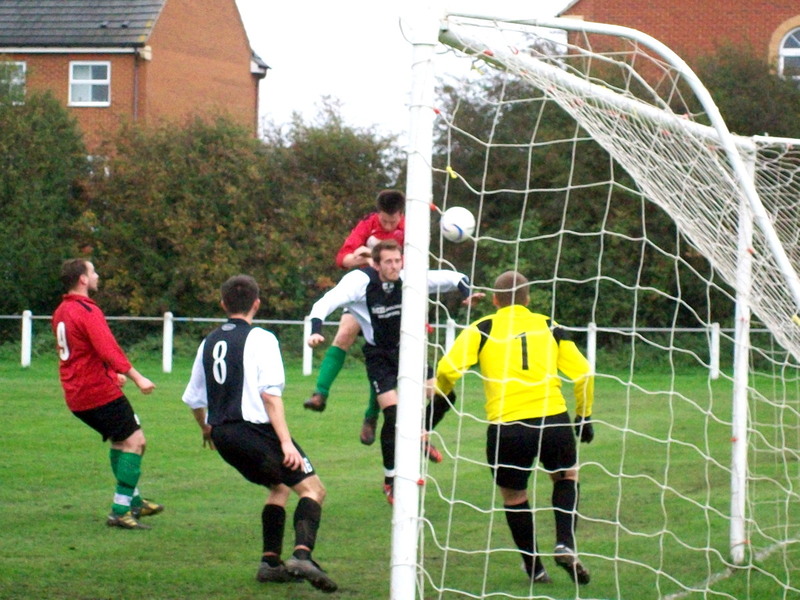 1 = Mark Temple goes close with a header. 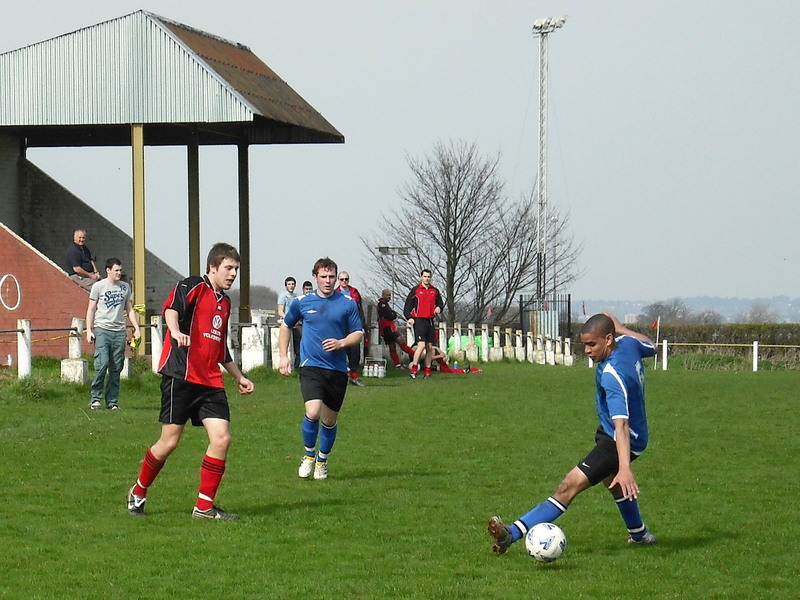 3 = Phillippe Nirmalendran on the ball. 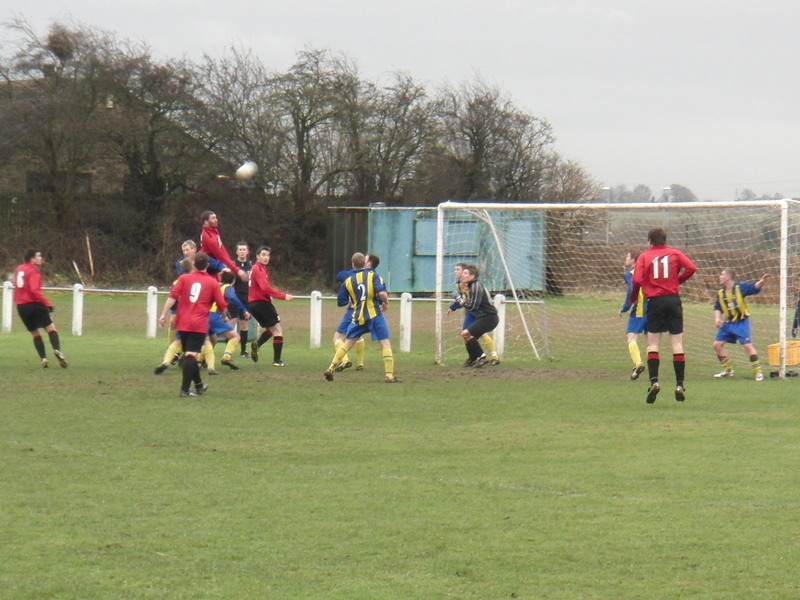 1 = Mark Temple (no 8) fires a free kick just wide. 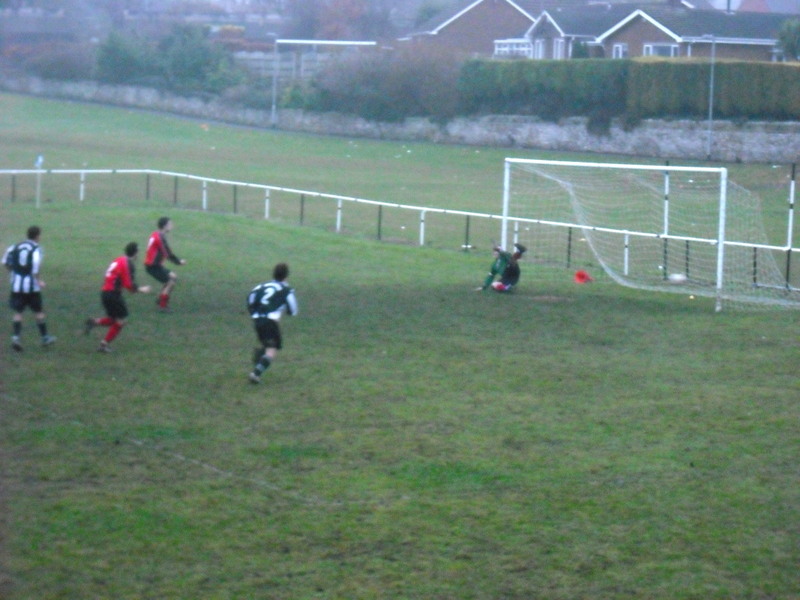 2 = James Finlayson (no 7) opens the scoring from the penalty spot. 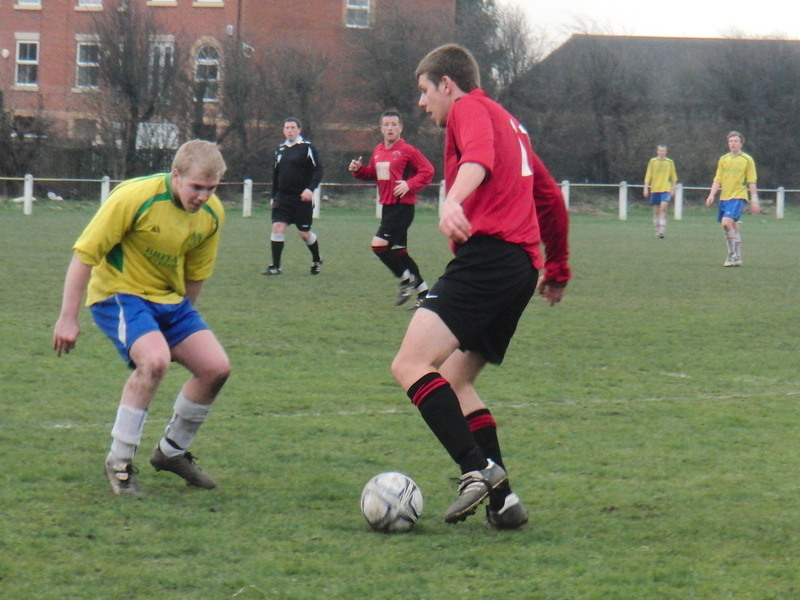 3 = Tom Carter battles with two Swillington defenders. 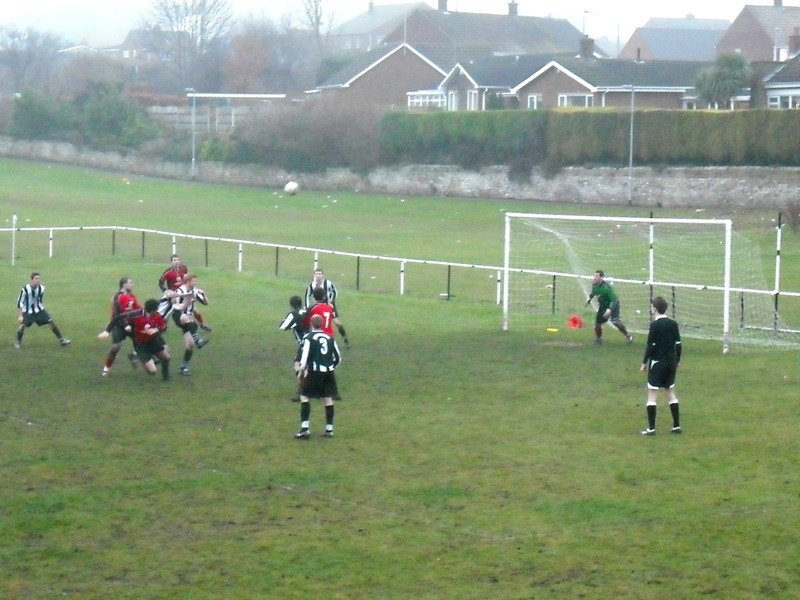 2 = Gavin Crowther's shot is saved. 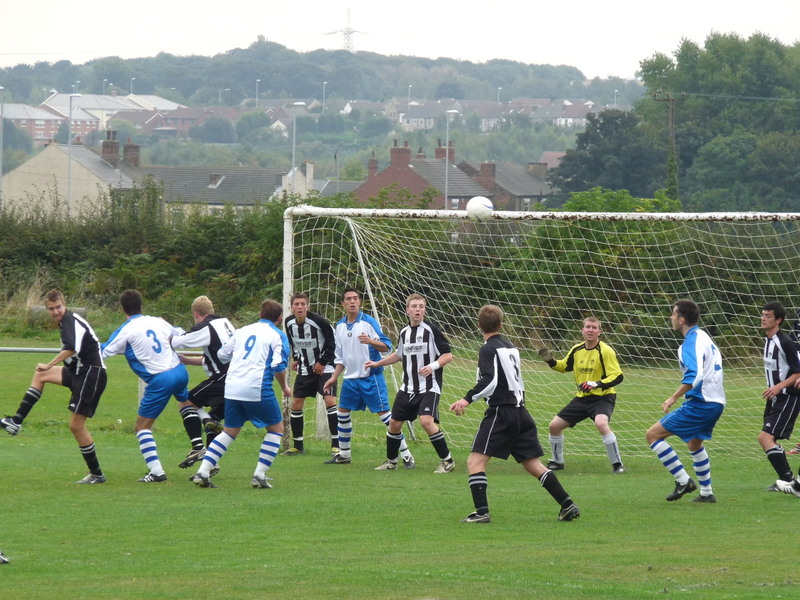 3 = Hood defending a corner. 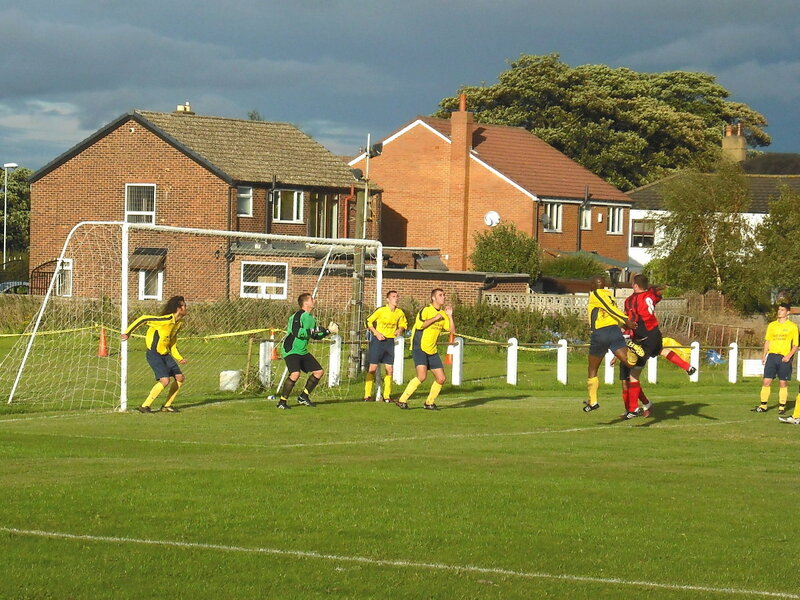 4 = It's another Hood goal! 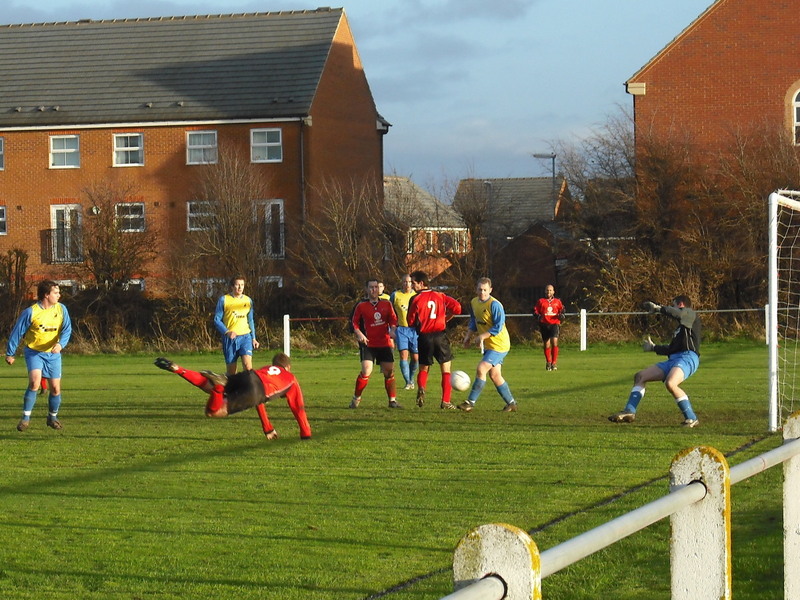 5 = Another good effort. 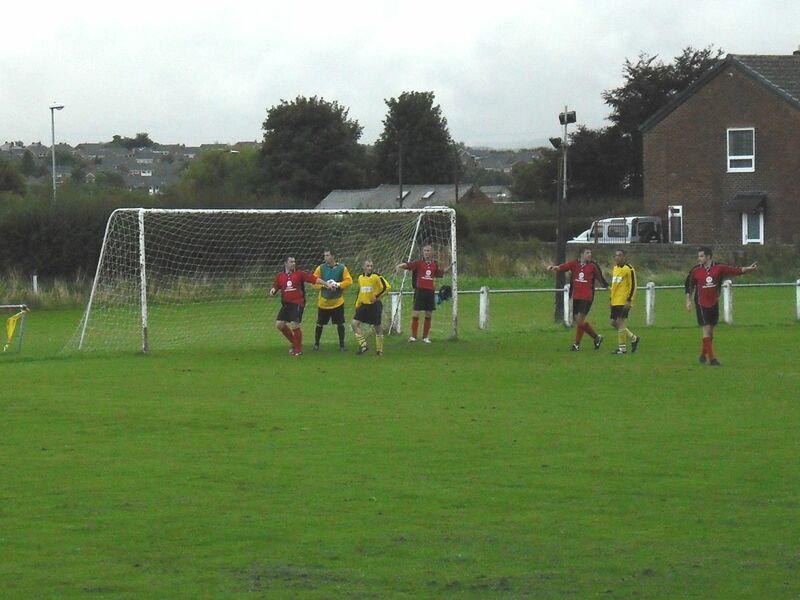 1 = A shot just over the bar with the keeper beaten. 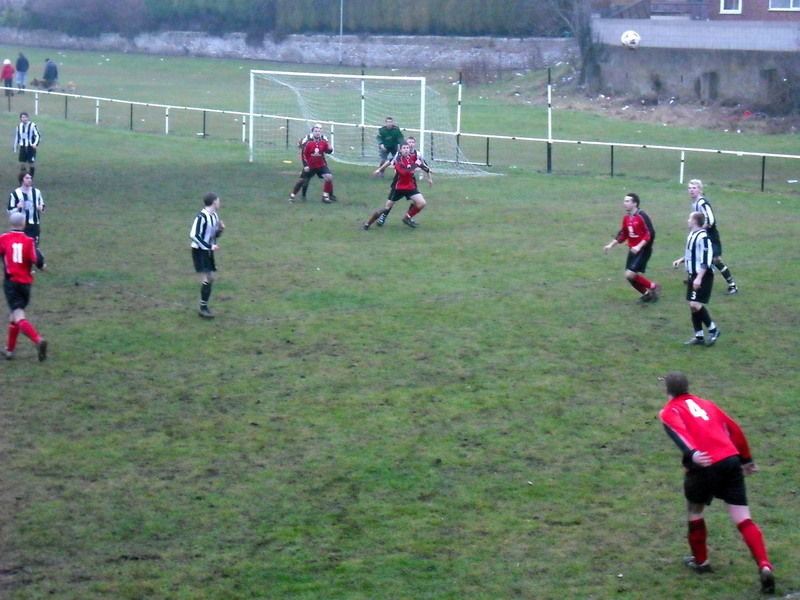 2 = Lee Jaques beats the offside. 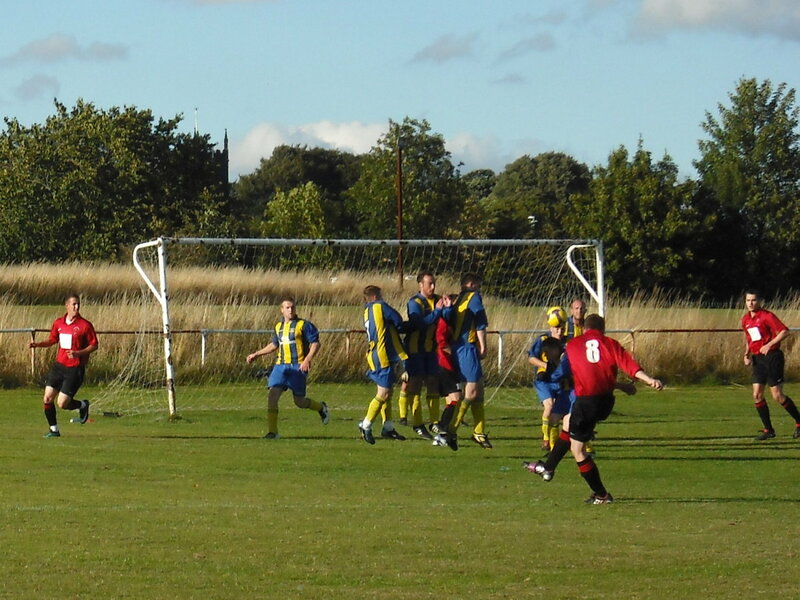 1 = Jordan Myres clears in a bunch of players. 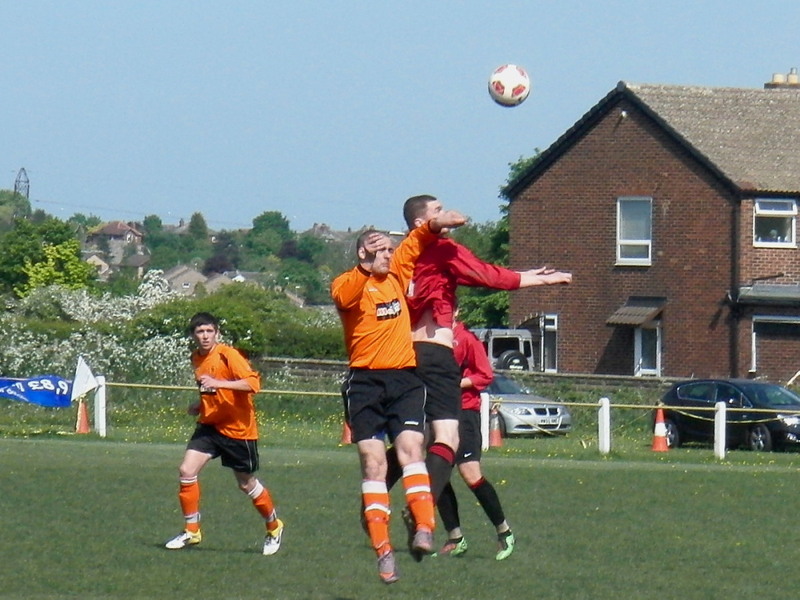 2 - Scott Murgatroyd beats the Horbury defence. 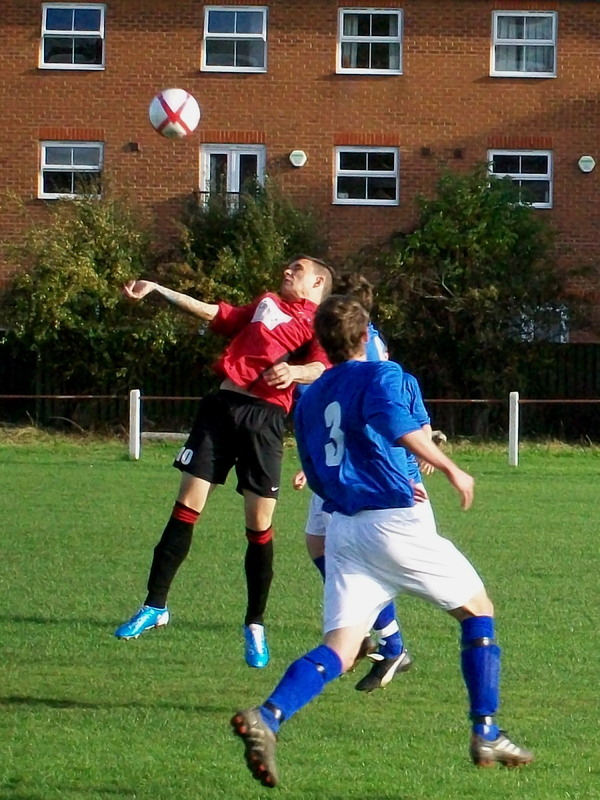 2 = .Mark Temple wins the ball in the air. 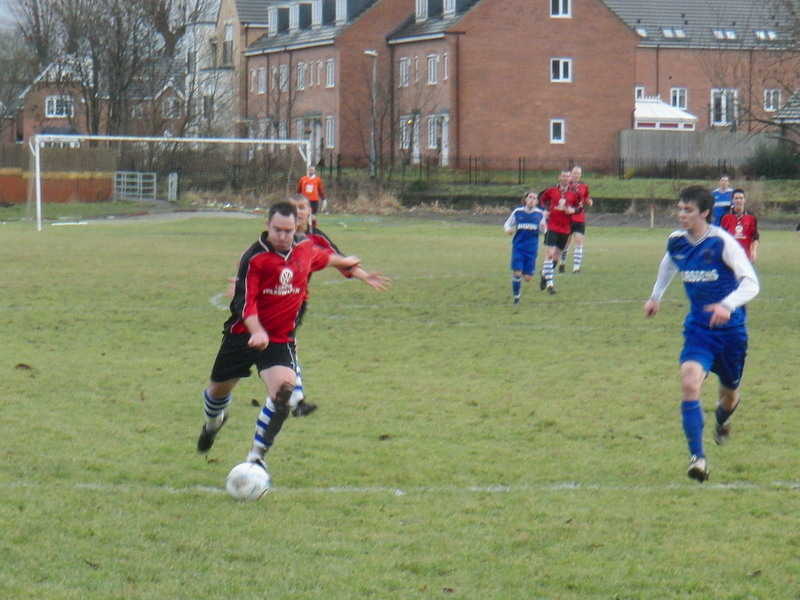 1 = Lee Jaques battles with the East End Park defence. 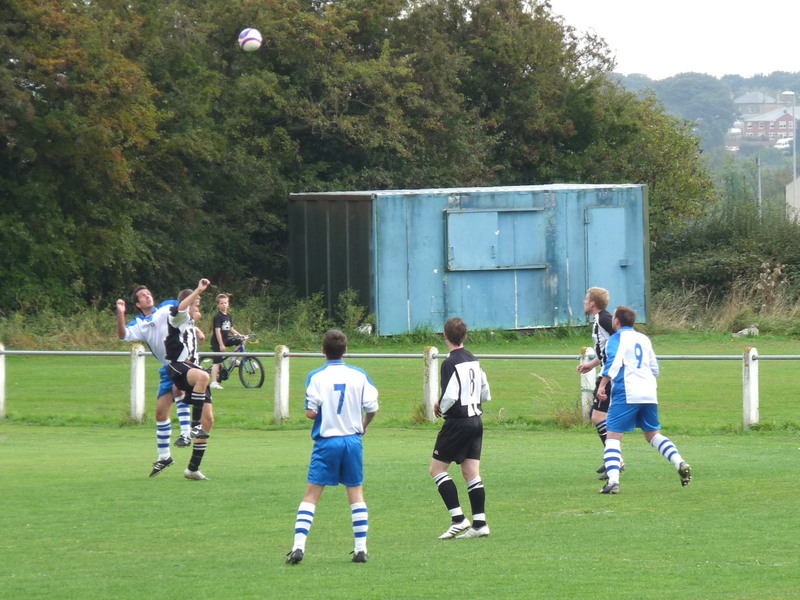 2 = A good header by Mark Temple for the opening goal. 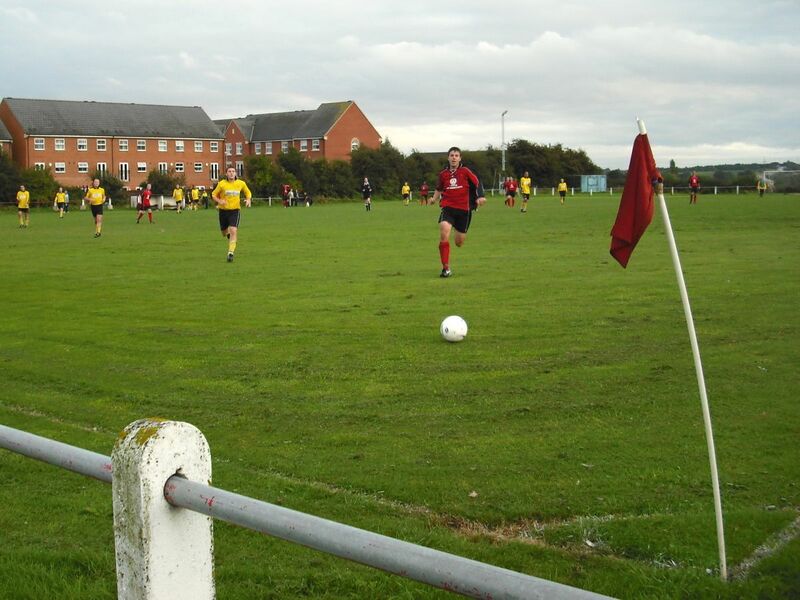 3 = Another good cross. 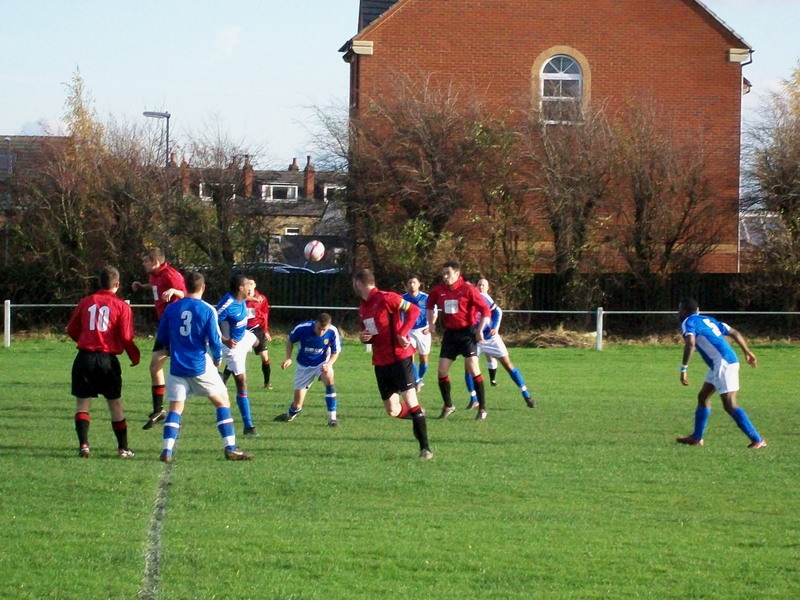 4 = A bumper crowd watches Lee Jaques attacking down the right wing. 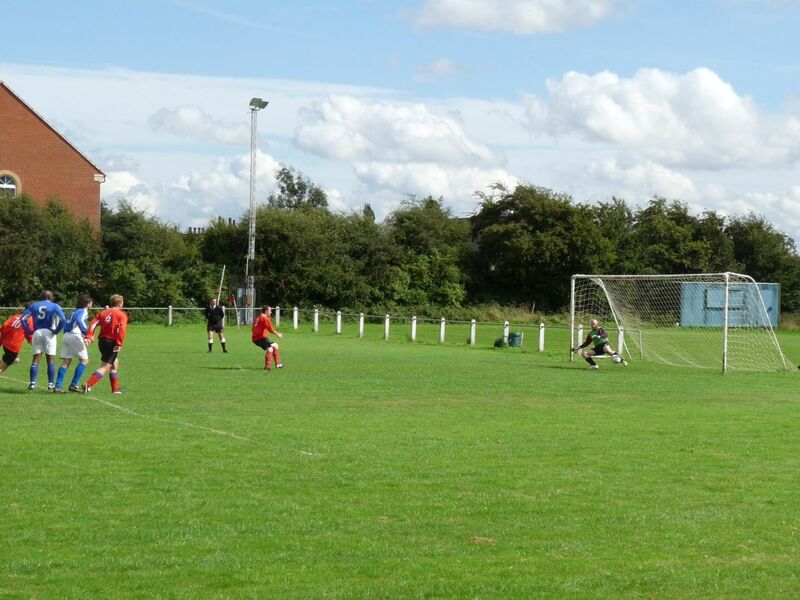 5 = The penalty makes it 2-0. 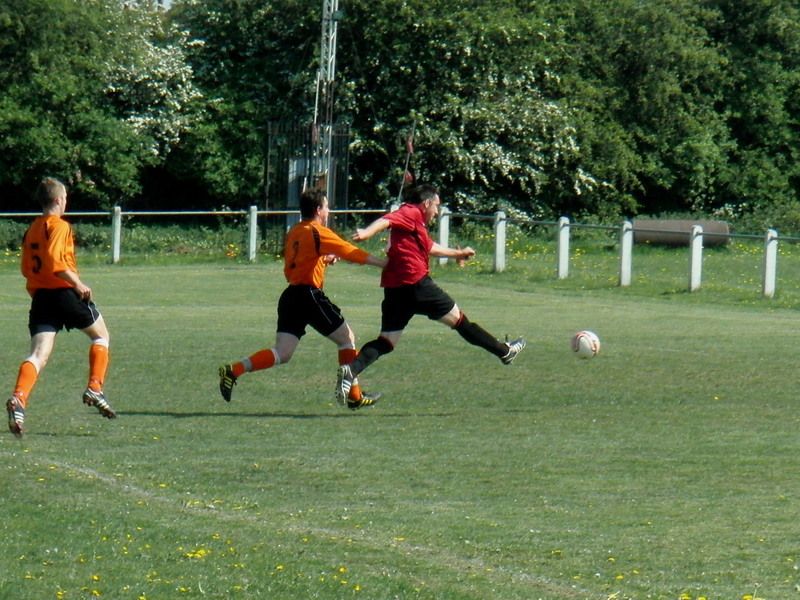 1 = An attacking throw from no 4 Lee Jacques. 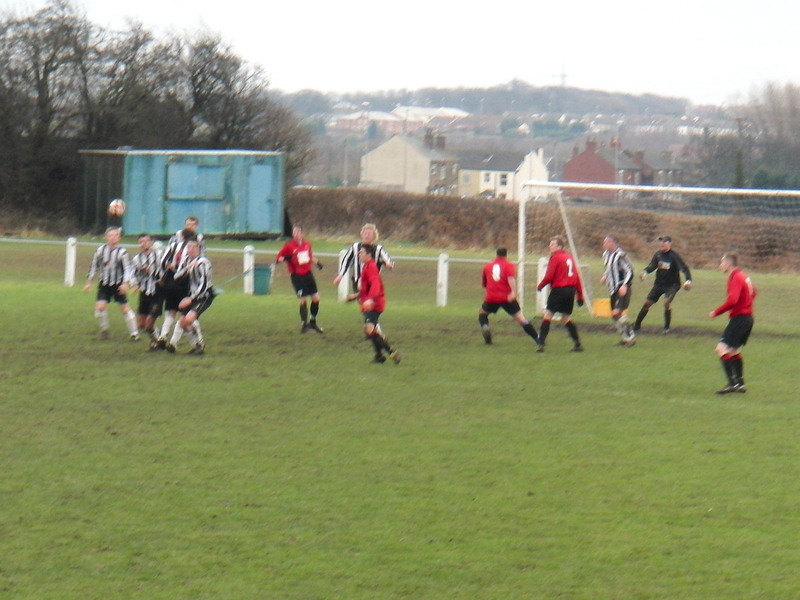 2 = A scramble to get the cross. 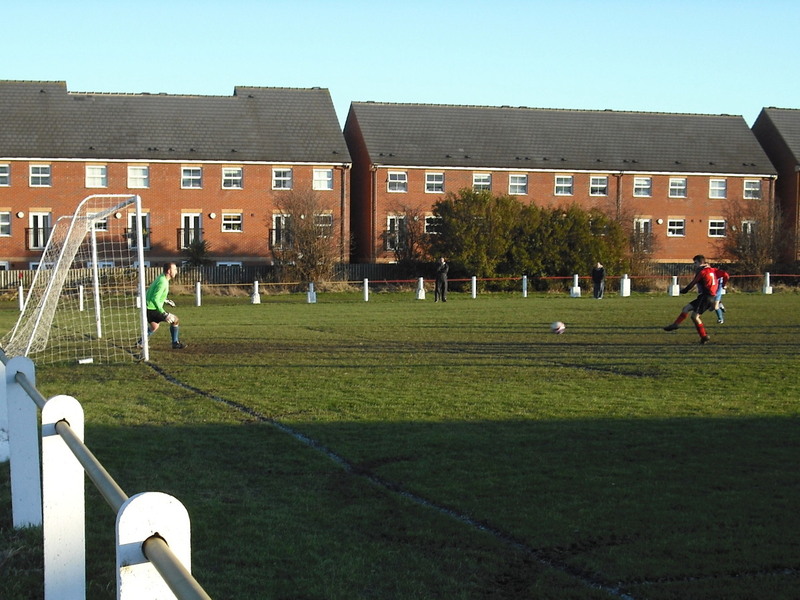 3 = James Finlayson scores the penalty! 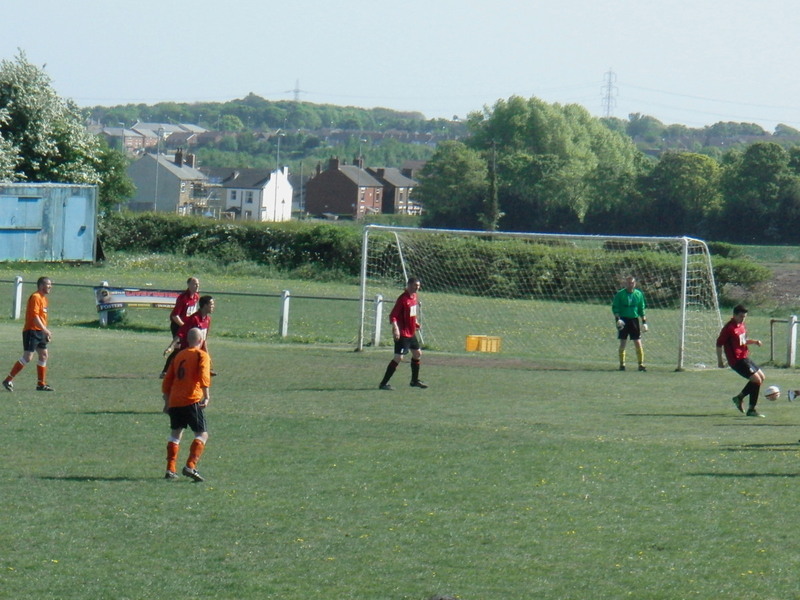 1 = A long throw aimed at Scott Murgatroyd (no 12). 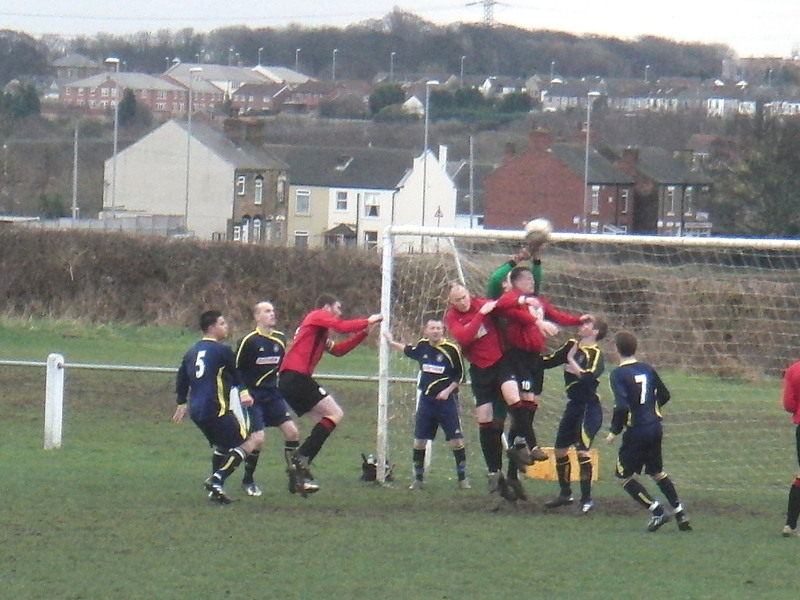 2 = Close up of James Finlayson pressing a Kippax defender. 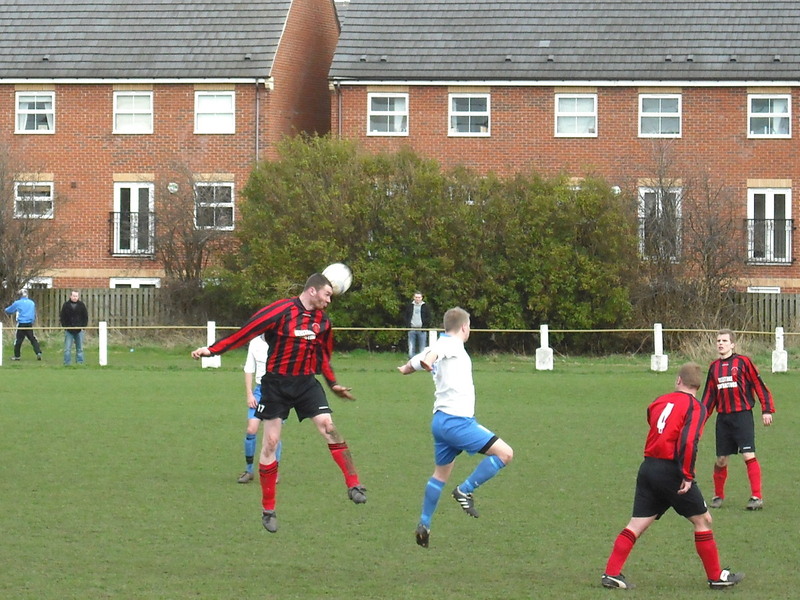 3 = A bit of head tennis. 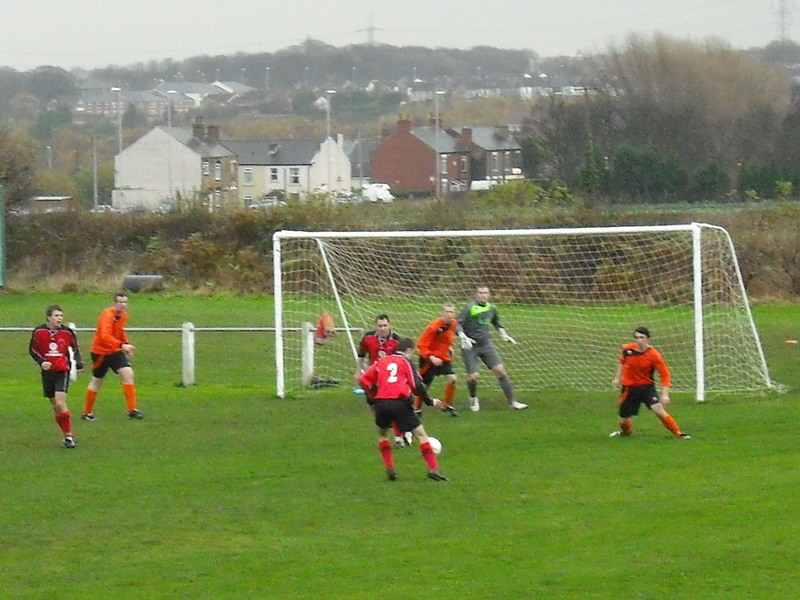 4 = Gavin Crowther with the opening goal. 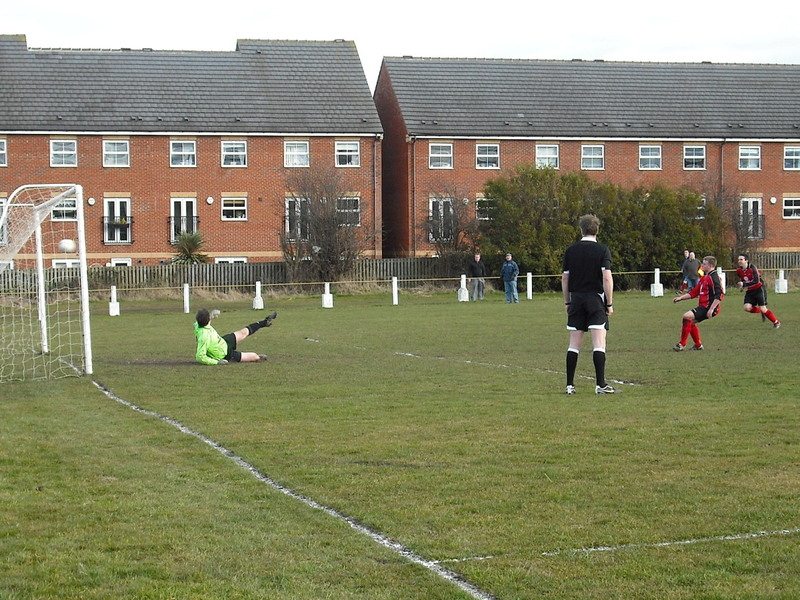 5 = James Finlayson misses a penalty! 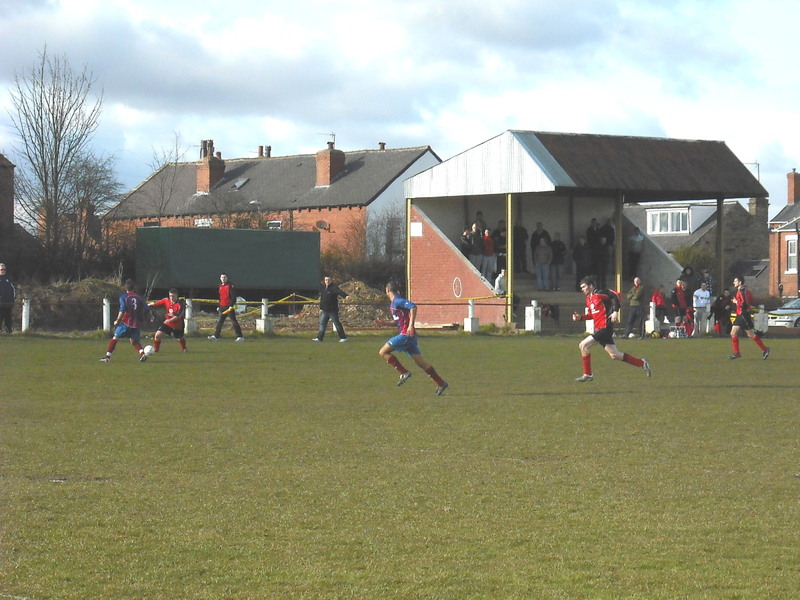 1 = A panoramic view of the game, watched by the enormous crowd! 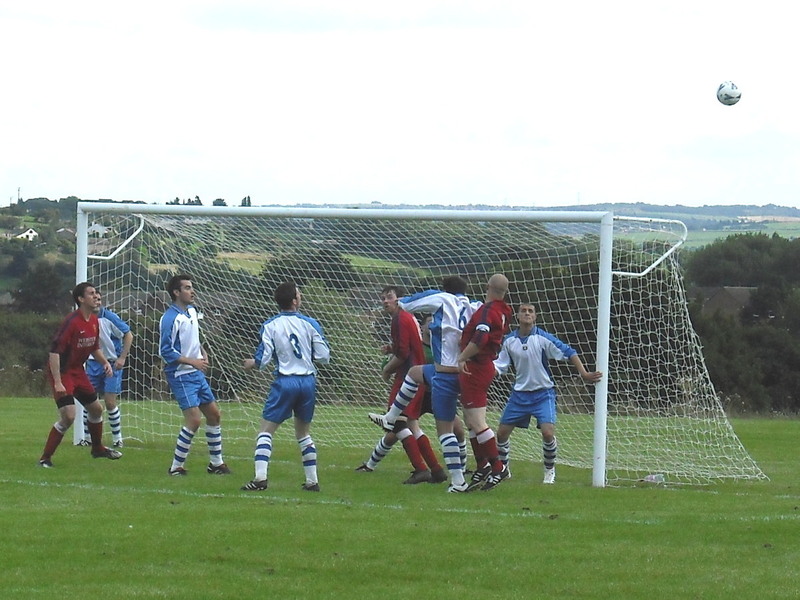 2 = A shot by James Finlayson (no 7) going wide. 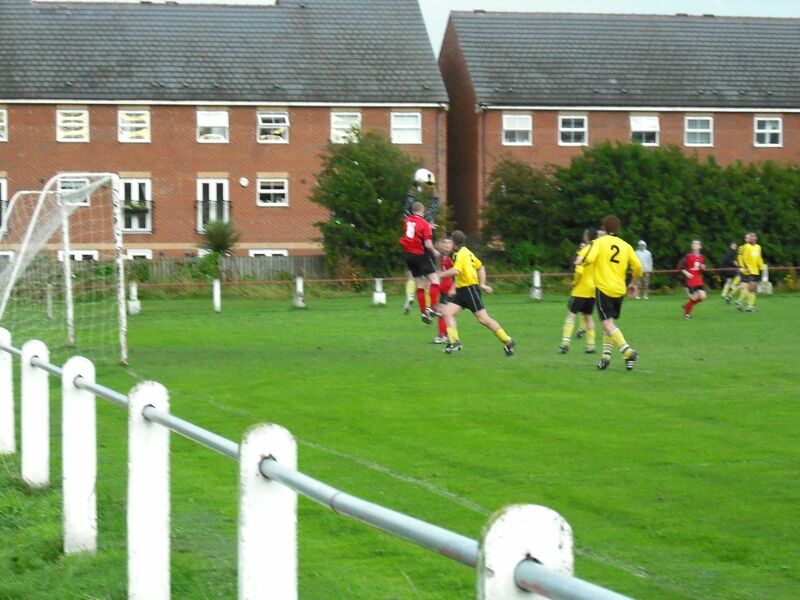 3 = James Finlayson now providing a cross from the wing. 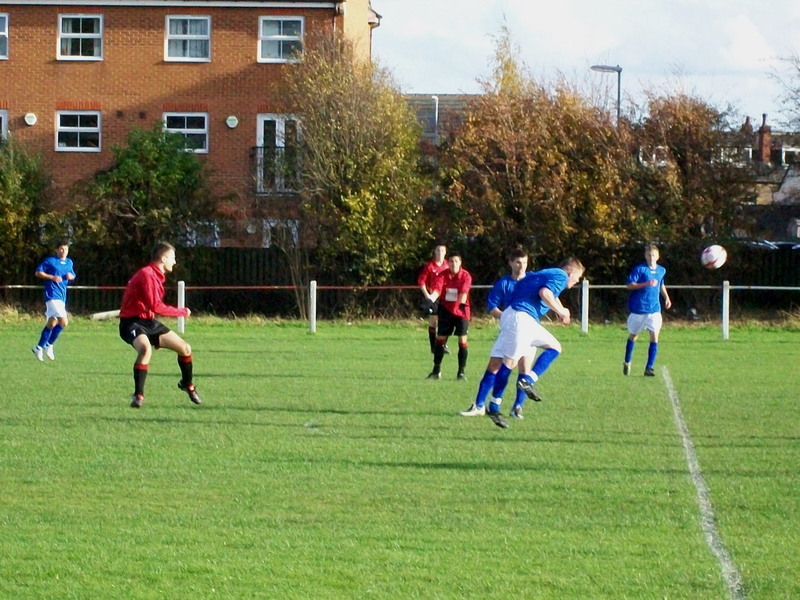 4 = Paul Smith and Gavin Crowther searching for the equalizer. 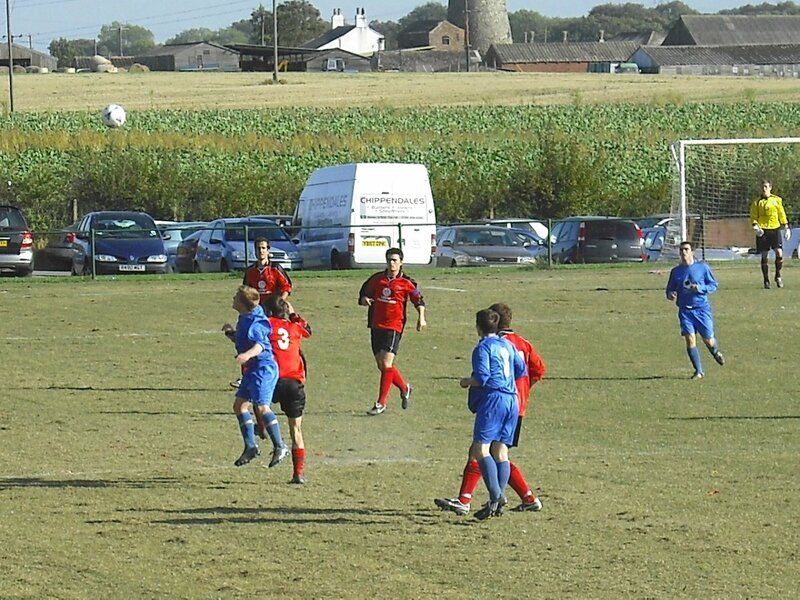 1 = Scott Murgatroyd heads on surrounded by defenders. 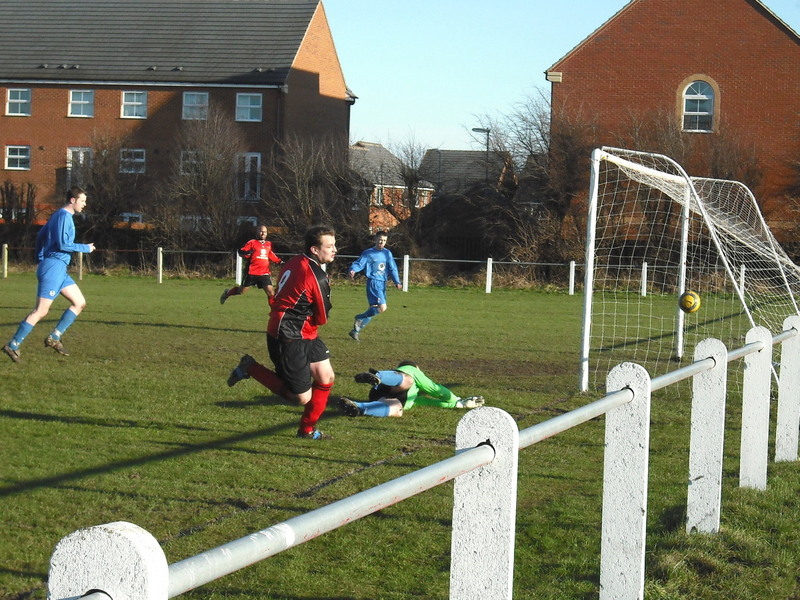 3 = Scott Murgatroyd scores the second goal with a diving header. 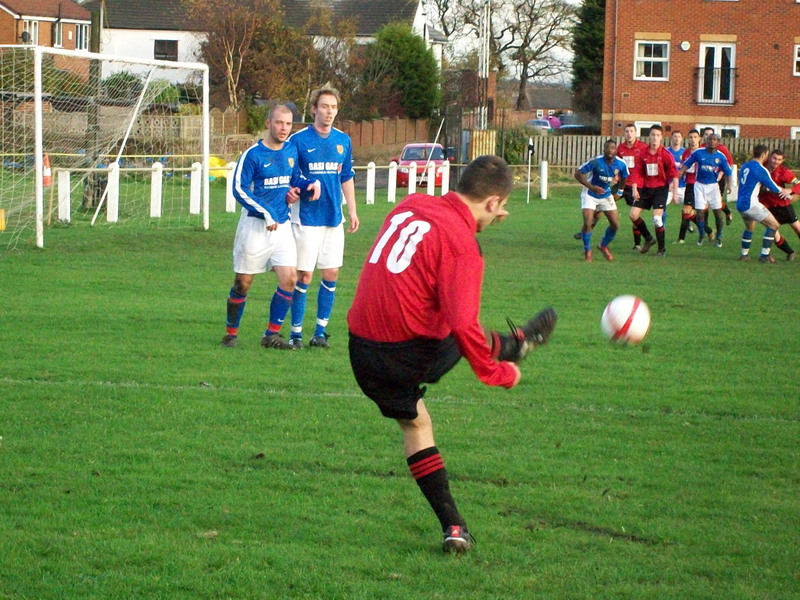 1 = Paul Smith and James Finlayson play a one-two. 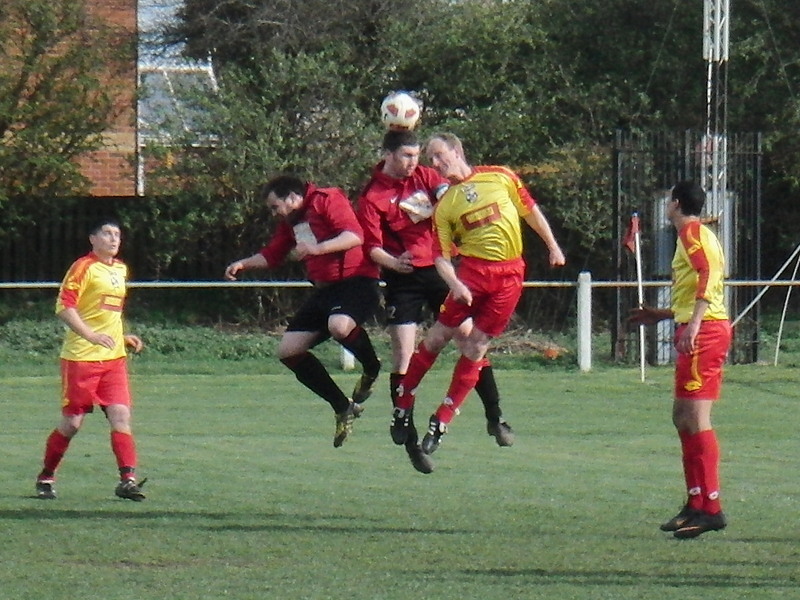 2 = Stefan Holt wins a header watched by the referee. 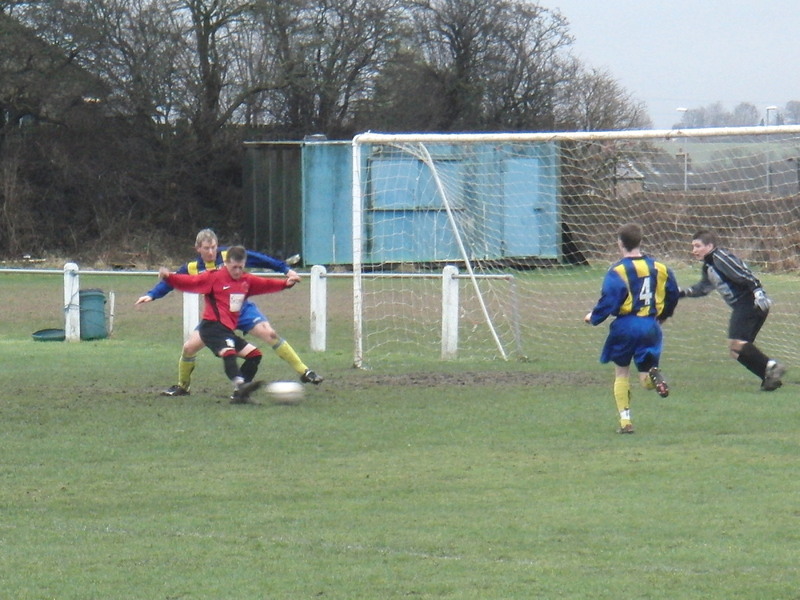 3 = The second goal flies in past the keeper. 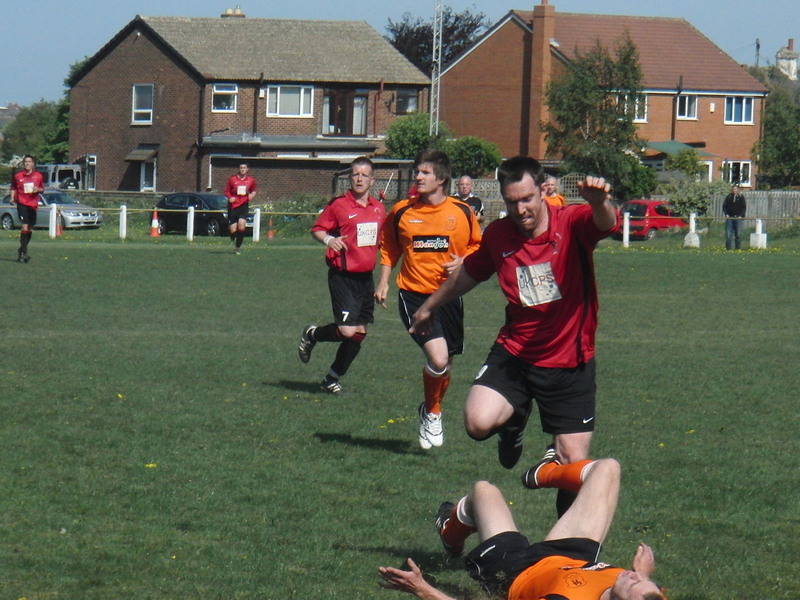 2 = Taking on the last defender. 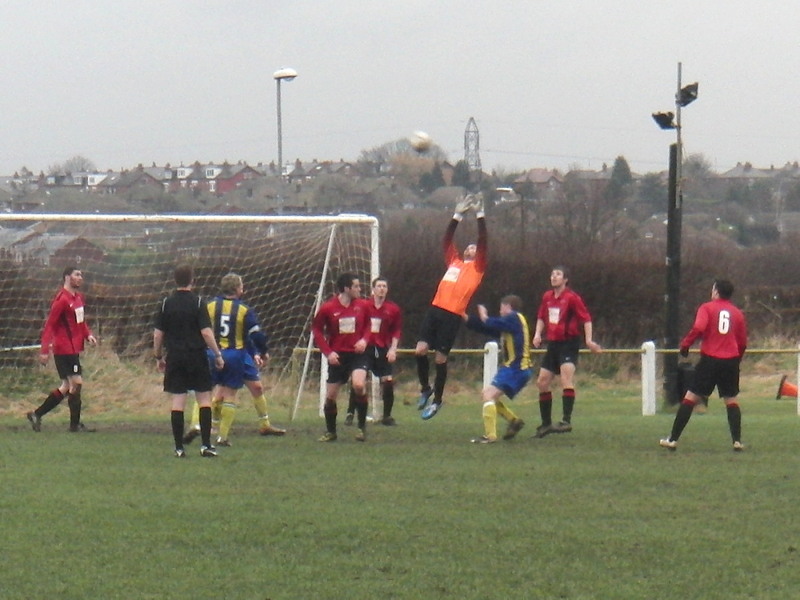 3 = High and wide from Gavin Crowther. 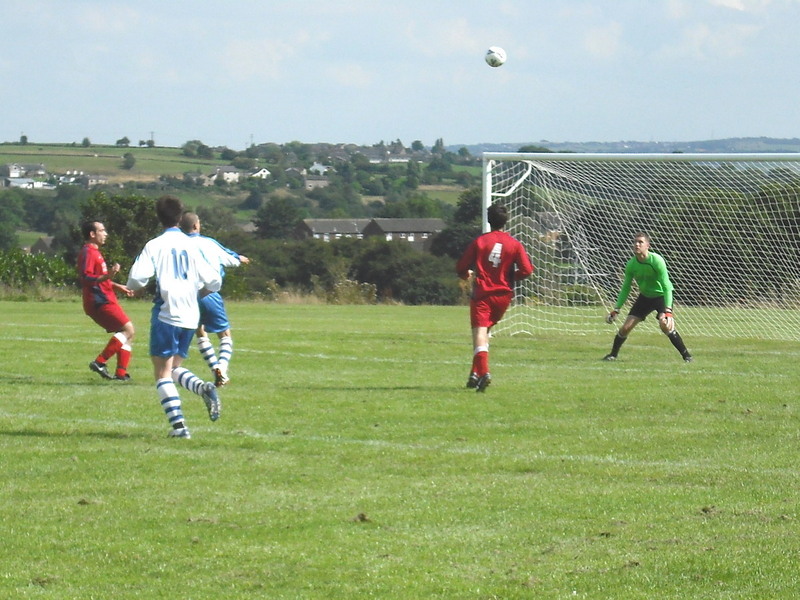 4 = Good ball control. 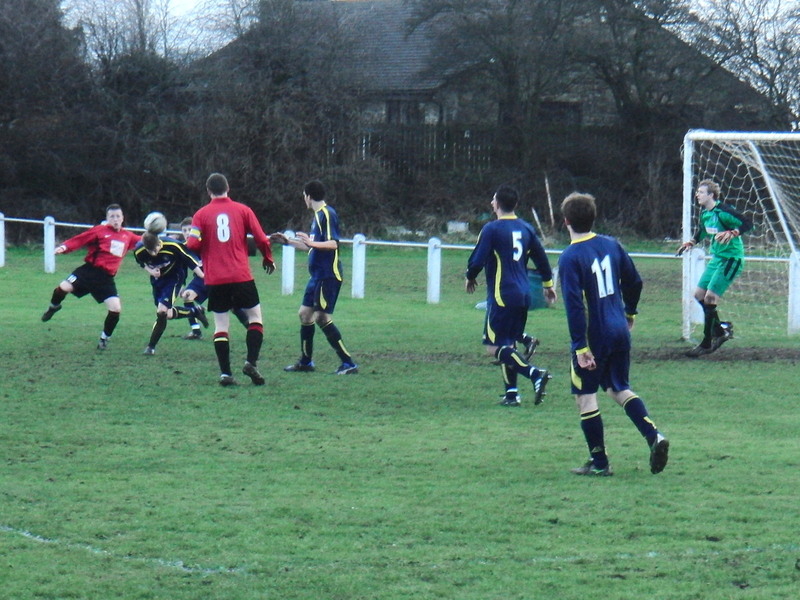 5 = Scott Murgatroyd scores the winning goal. 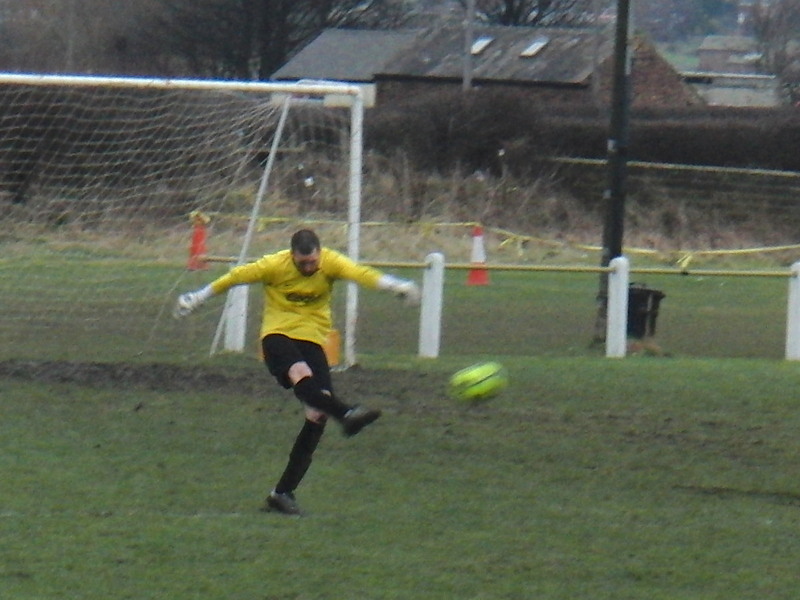 2 = Scott Murgatroyd has only the keeper to beat. 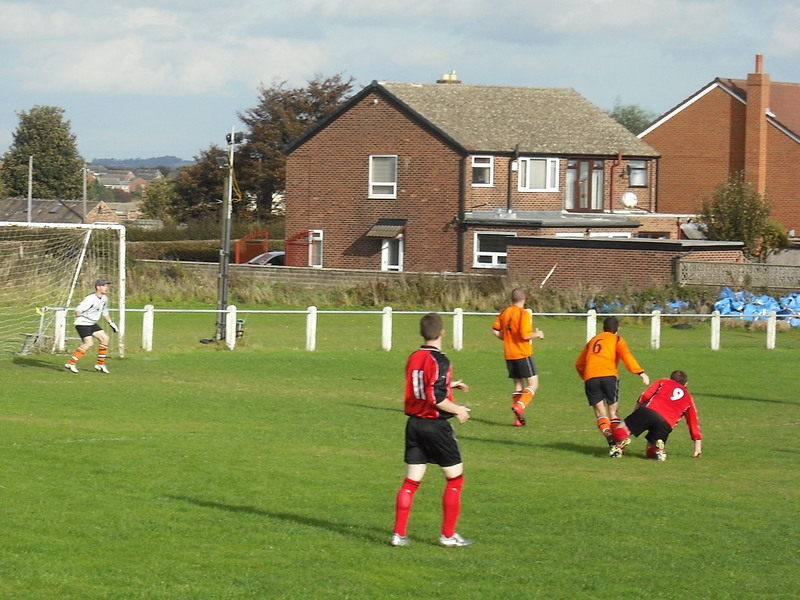 3 = The Hood defence is solid. 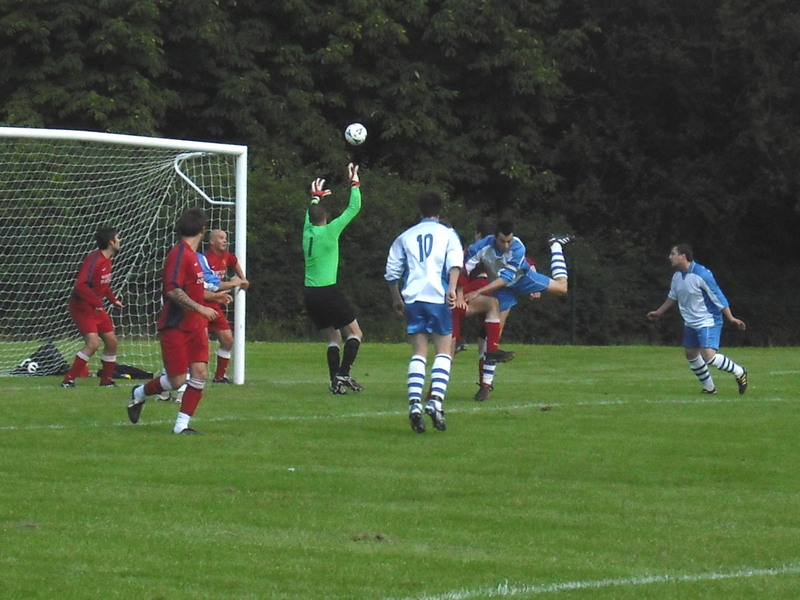 1 = An aerial challenge. 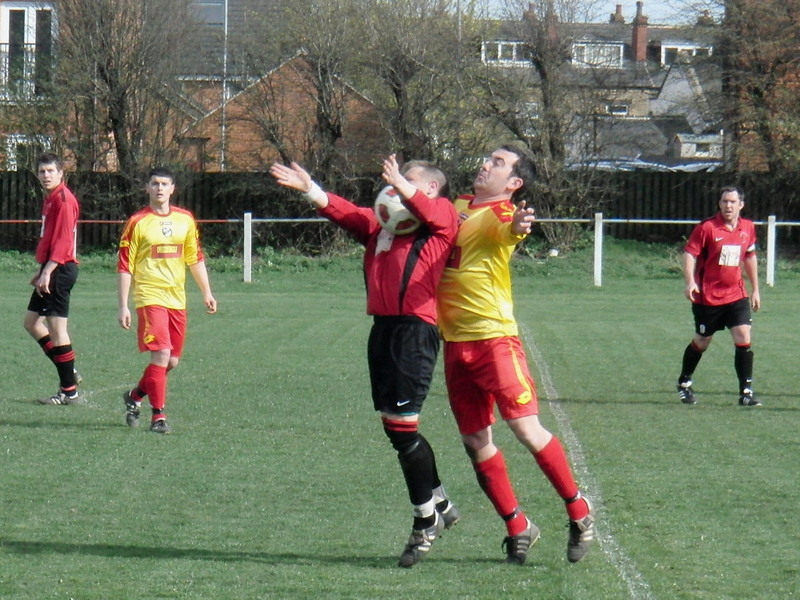 3 = Jamal Mankouri tries to feed Gavin Crowther. 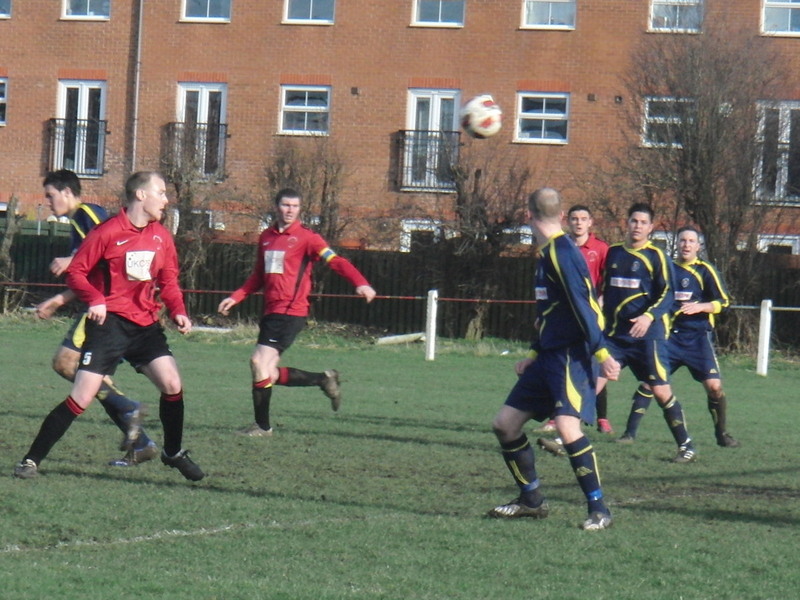 4 = Kris Robertshaw (on the left) comes charging in for a volley. 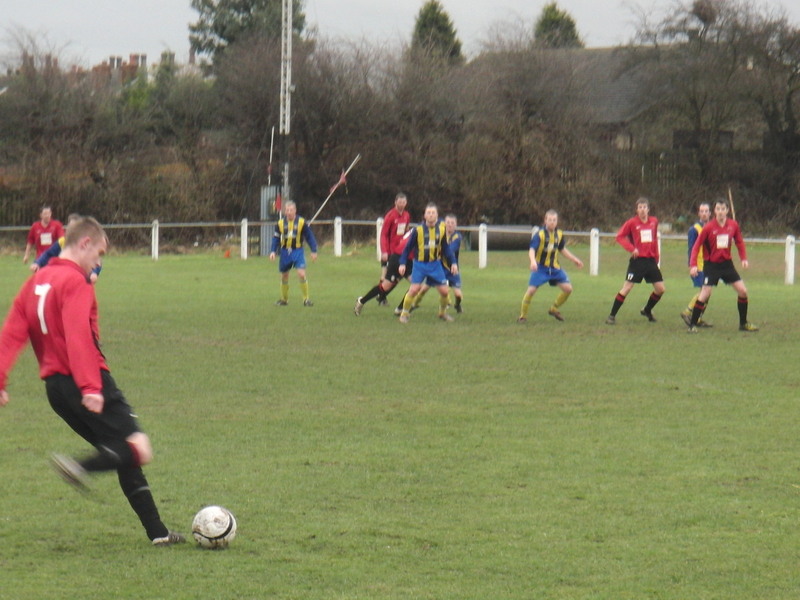 5 = Scott Murgatroyd tries to keep possession. 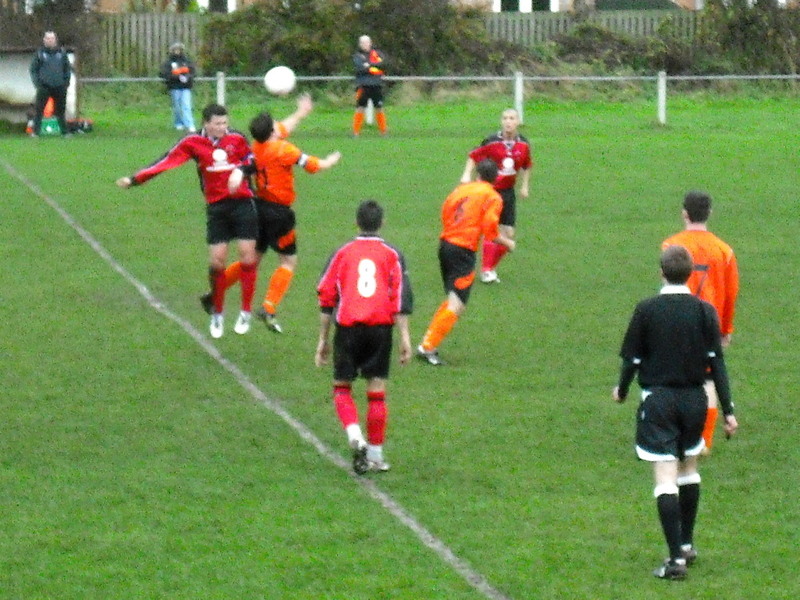 1 = Full back Simon Gould (no 2) presses forward. 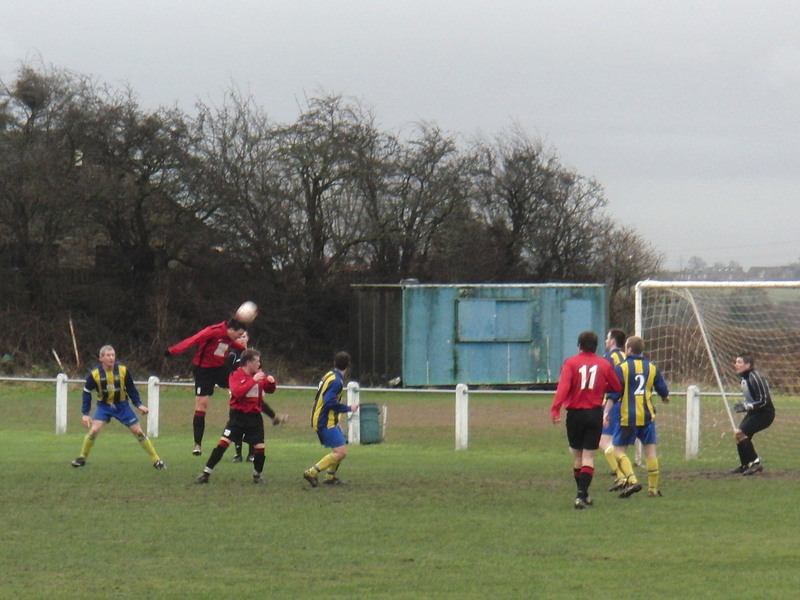 2 = Taking on the Ripon defence. 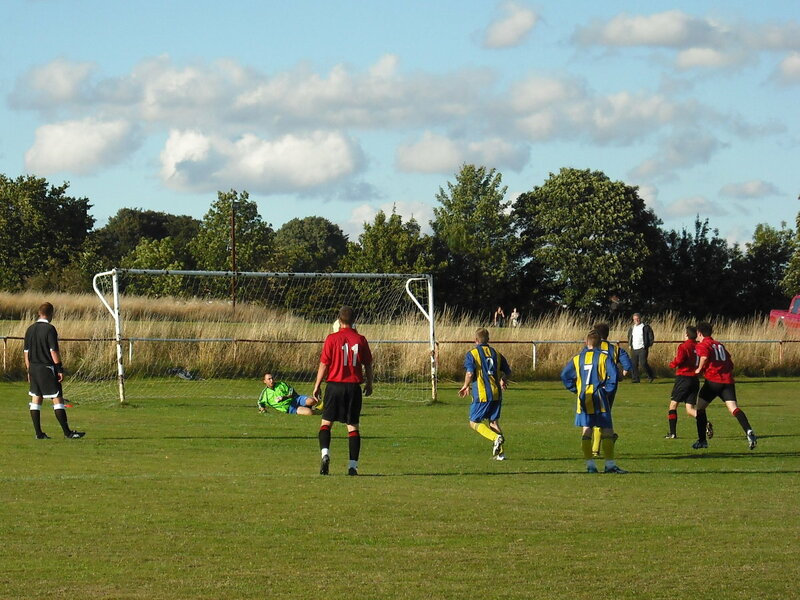 1 = Safe hands from our keeper. 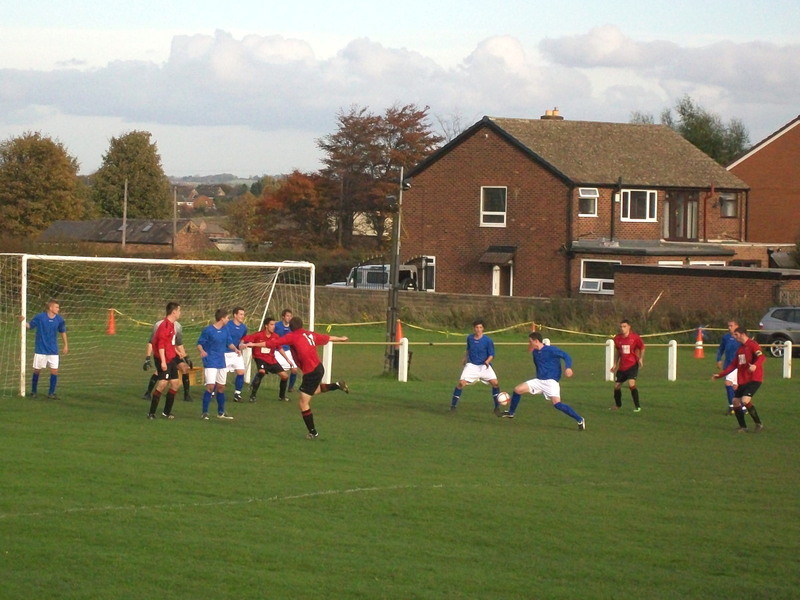 2 = A through ball towards the corner. 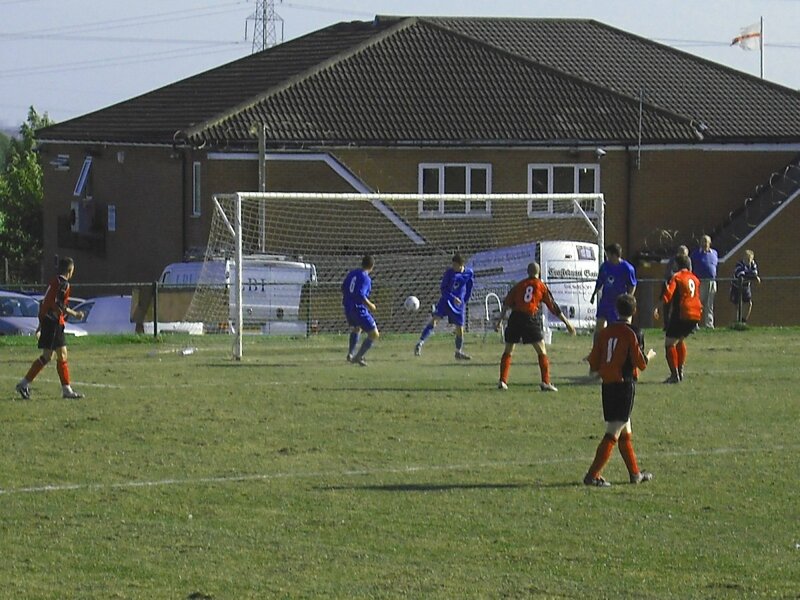 3 = Beaten by the keeper. 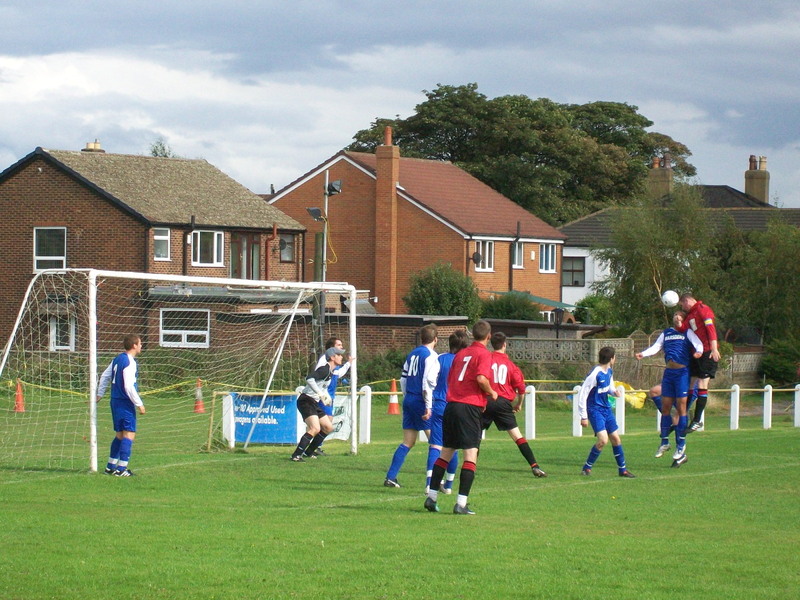 1 = A corner comes over. 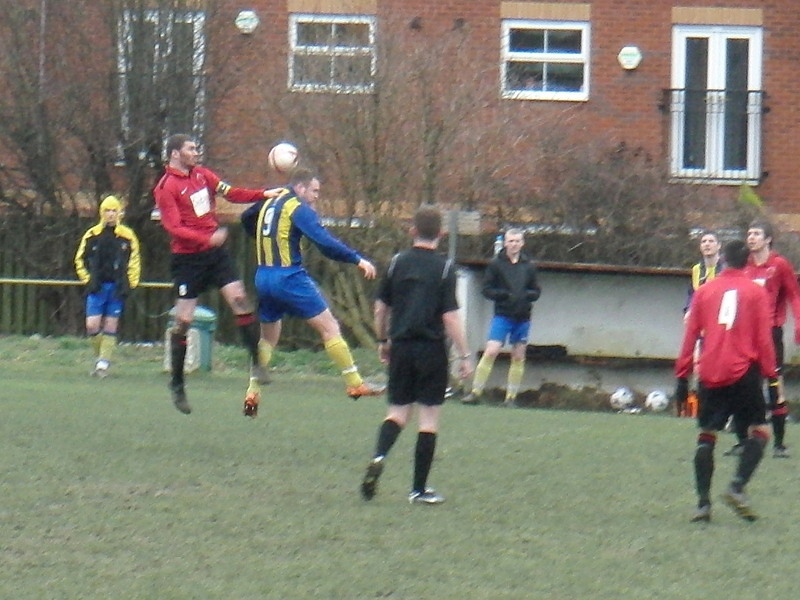 2 = Steve Hancock goes close with a header. 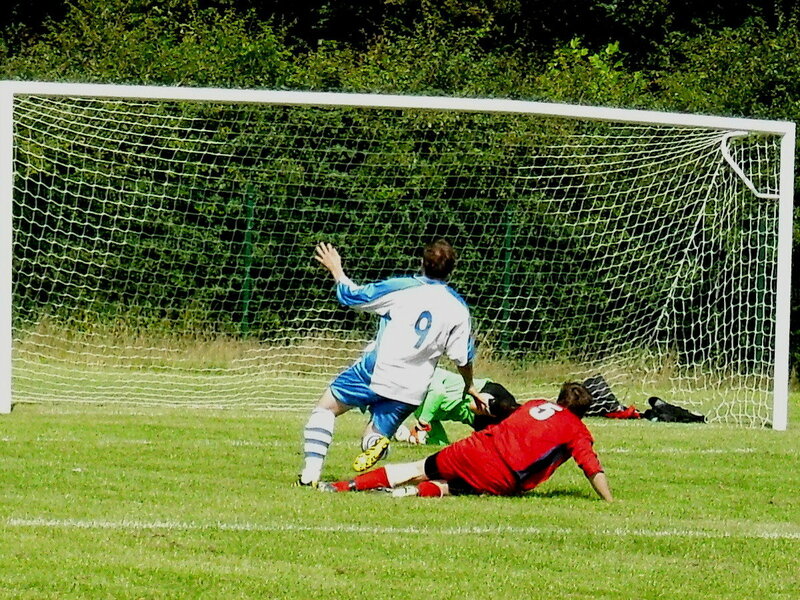 3 = Chris Boseley-Yemm scores from the spot.